Hiking journal of my hikes completed in 2015. When clicked, all images below open to a new tab at a larger size. Unless noted otherwise, links in descriptions below are to galleries with additional photos. Hike #49 on Dec 6. 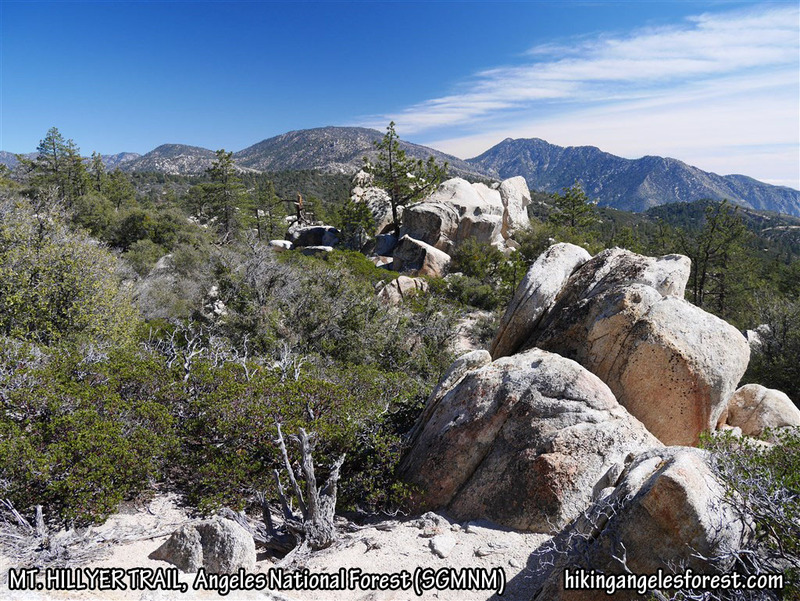 I hiked from the parking lot at Devil’s Punchbowl County Park up to the High Desert Trail and across to Devil’s Chair. Stats: 7.4 miles, 1300′ gain and loss. View from Vetter Mountain toward Strawberry Peak. Stats: 8.4 miles, 2160′ gain. Stats: 3.2 Miles, 1071′ gain and loss. View from the Silver Moccasin Trail in Shortcut Canyon. Stats: 6.8 miles, 1700′ gain and loss. Hike #045 on Nov 19. 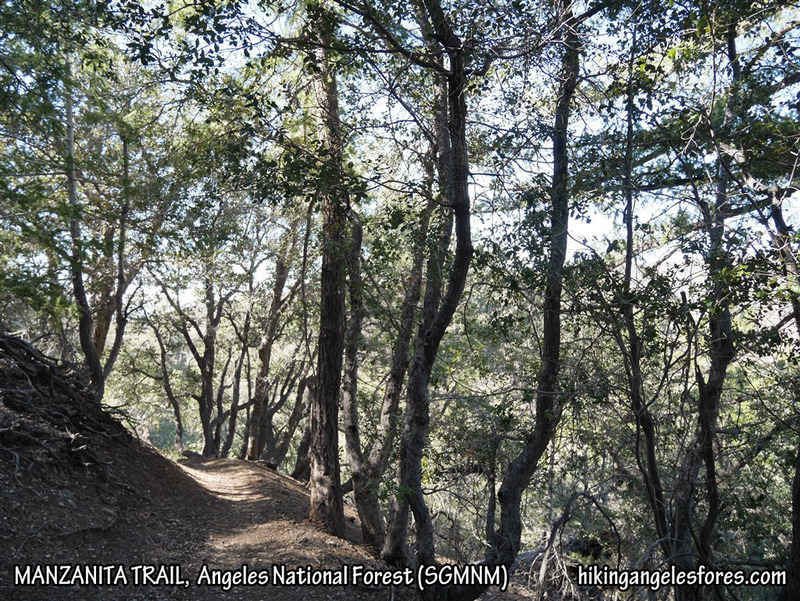 I solo hiked the Gabrieleno Trail from Chantry Flat to Sturtevant Camp (using the Lower Gabrieleno-a.k.a. Upper Falls Trail at the split). From Sturtevant Camp, I took the Zion Trail to Mt. Zion and Lower Winter Creek back to Chantry Flat. Stats: 9.25 miles, 2100′ gain and loss. Hike #045 Mt. 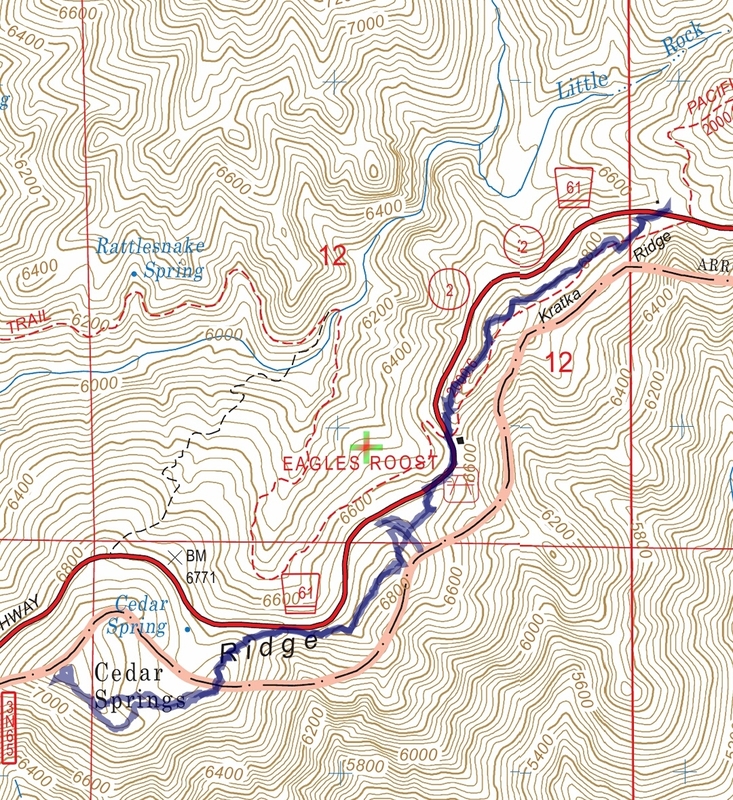 Zion track map using Backcountry Navigator (US Forest Service-2013 map) from my phone. Hike #044 on Nov 8. I solo hiked from Chilao Flat to Mt. Hillyer to Rosenita Saddle and back the same way. Stats: 7.2 miles, 1245′ gain and loss. Hike #044 Mt. Hillyer track map using Backcountry Navigator (US Forest Service-2013 map) from my phone. Hike #043 on Nov 1. 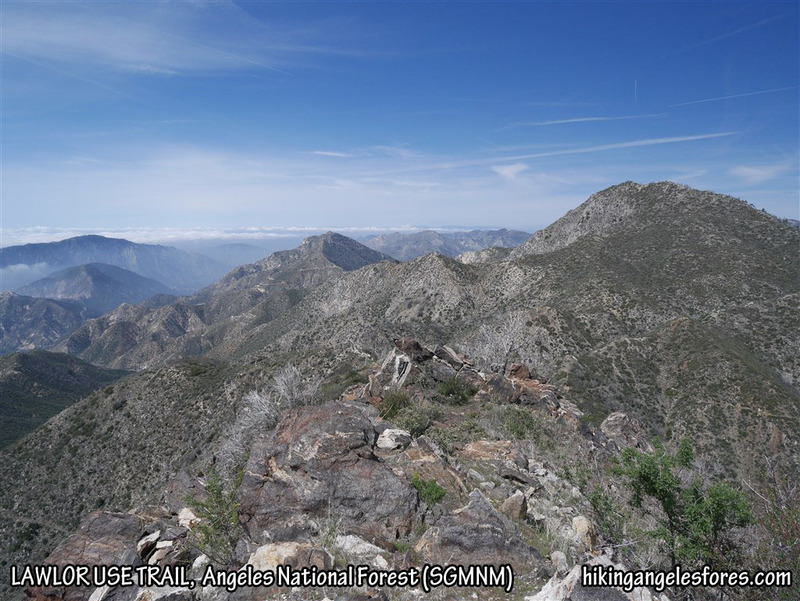 I solo hiked the Pacific Crest Trail from mile marker 54.10 on Angeles Crest Highway to Cloudburst Summit. From there, I took the south use trail up to Winston Peak and hiked around the peak a little to explore. View coming down the south use trail from Winston Peak looking toward Mt. Waterman. 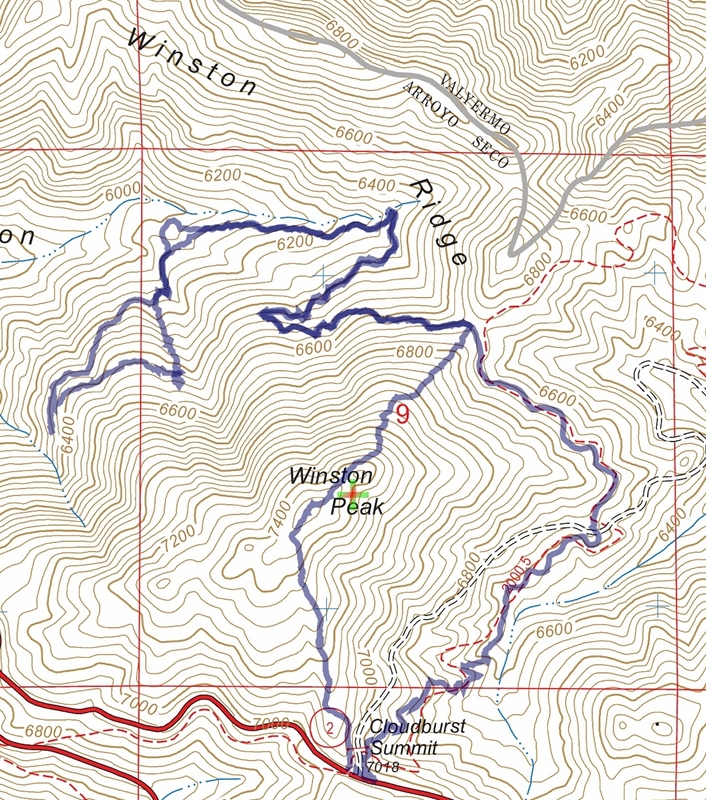 Hike #043 Winston Peak track map using Backcountry Navigator (US Forest Service-2013 map) from my phone. Hike #042 on Aug 9. 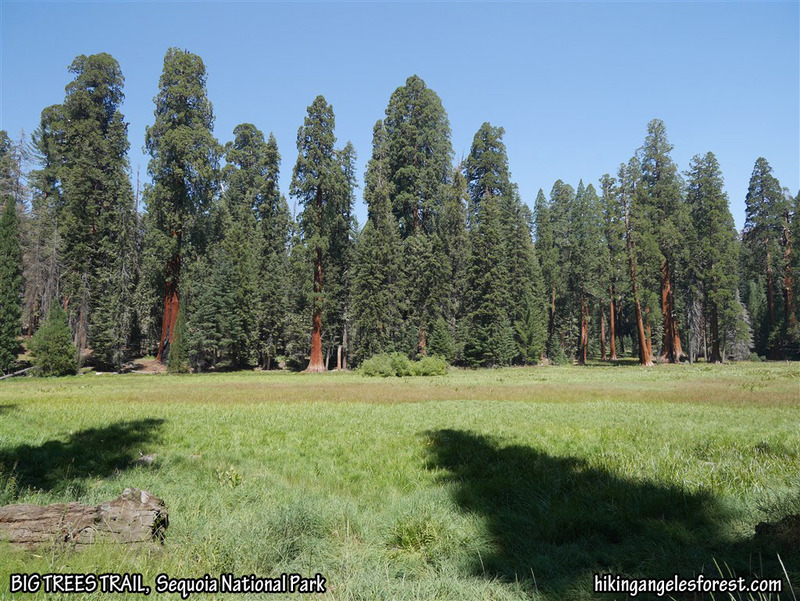 I hiked the Big Trees Trail and Beetle Rock Trail in Sequoia National Park with Debbie, Etienne, Camila, Chloe, Olivia, Aitana, Lorenzo, and Consuelo. View across Round Meadow from the Big Trees Trail. Stats: 2 miles, 365′ gain and loss. 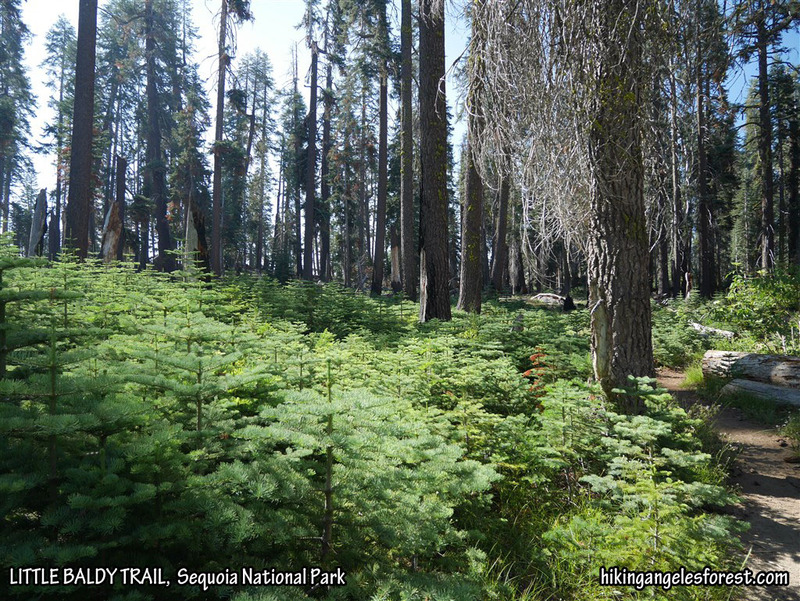 Hike #042 Big Trees track map using Backcountry Navigator (Cal Top Map) from my phone. Hike #041 on Aug 8. I hiked the Muir Grove Trail from our campsite at Dorst in Sequoia National Park with Etienne, Camila, Aitana, and Lorenzo. Stats: 5.9 miles, 640′ gain and loss. 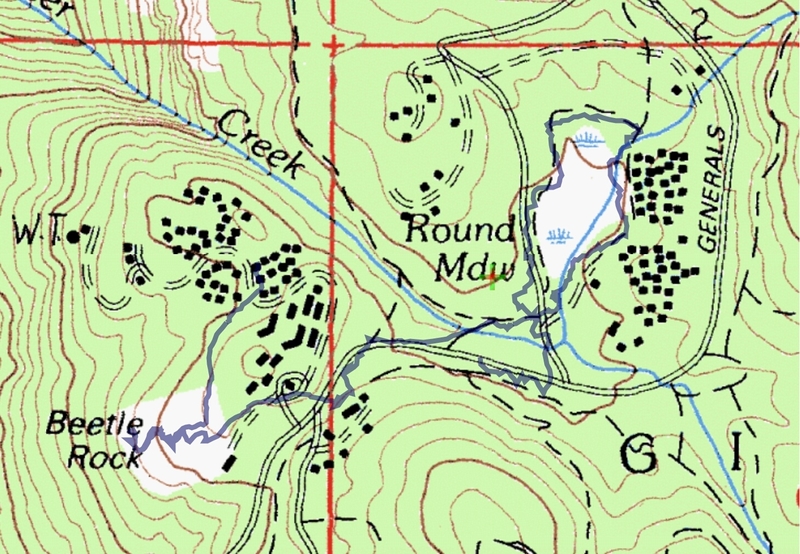 Hike #041 Muir Grove track map using Backcountry Navigator (Cal Top Map) from my phone. Hike #040 on Aug 8. 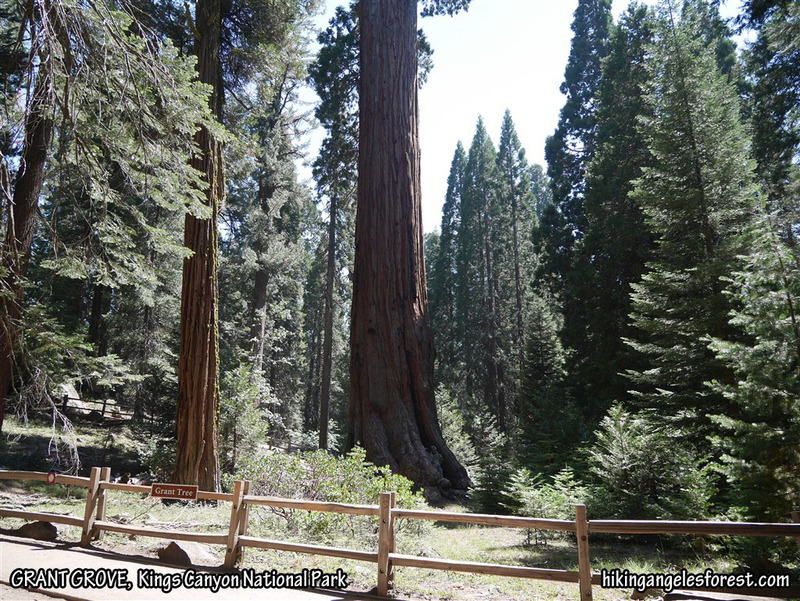 I hiked the Grant Grove Loop in Kings Canyon National Park with Debbie, Etienne, Camila, Chloe, Olivia, Aitana, Lorenzo, and Consuelo. View toward General Grant Tree. Stats: 0.5 miles, 115′ gain and loss. 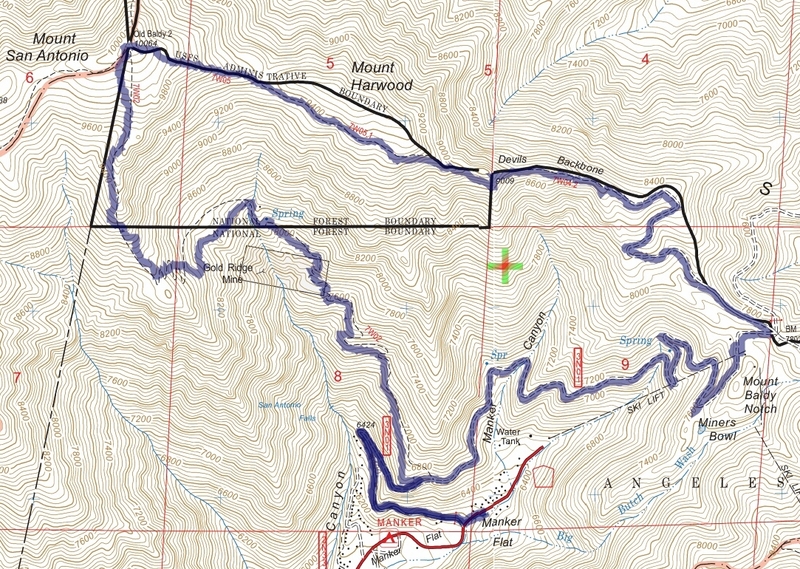 Hike #040 Grant Grove track map using Backcountry Navigator (Cal Top Map) from my phone. Hike #039 on Aug 8. I hiked the Little Baldy Trail in Sequoia National Park with some exploration past the peak with Debbie, Etienne, Camila, Chloe, Lorenzo, and Consuelo. Walking through a ground cover of pine trees on the way to Little Baldy. Stats: 3.6 miles, 760′ gain and loss. 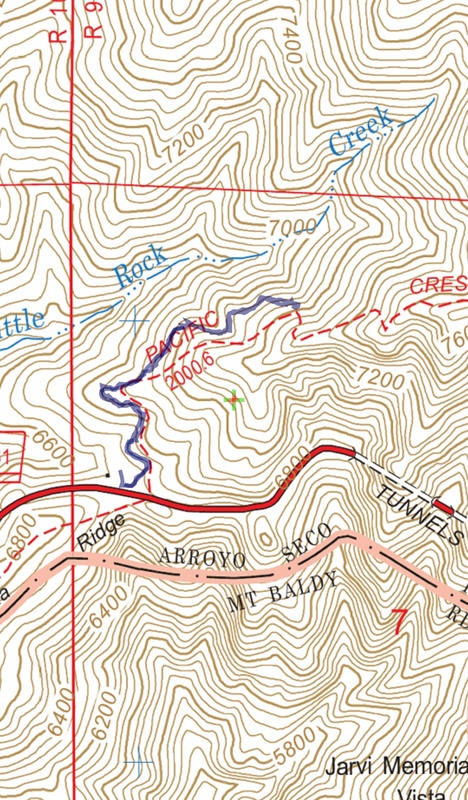 Hike #039 Little Baldy track map using Backcountry Navigator (Cal Top Map) from my phone. Hike #038 on Aug 2. I hiked the Baldy Bowl Trail up to Mt. Baldy and took the Devil’s Backbone Trail down to Manker Flat. The view coming down from Mt. Baldy on the Devil’s Backbone Trail. Hike #038 Mt. 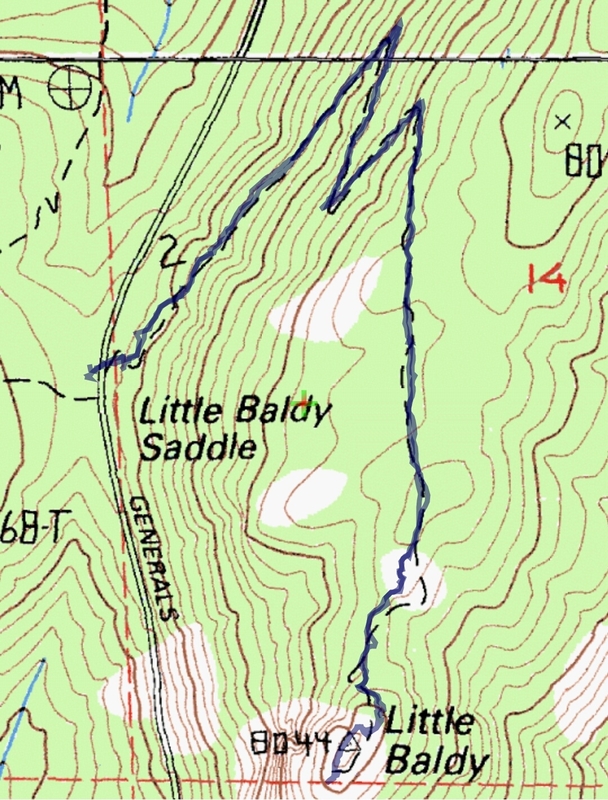 Baldy track map using Backcountry Navigator (US Forest Service-2013 map) from my phone. Hike #037 on July 26. 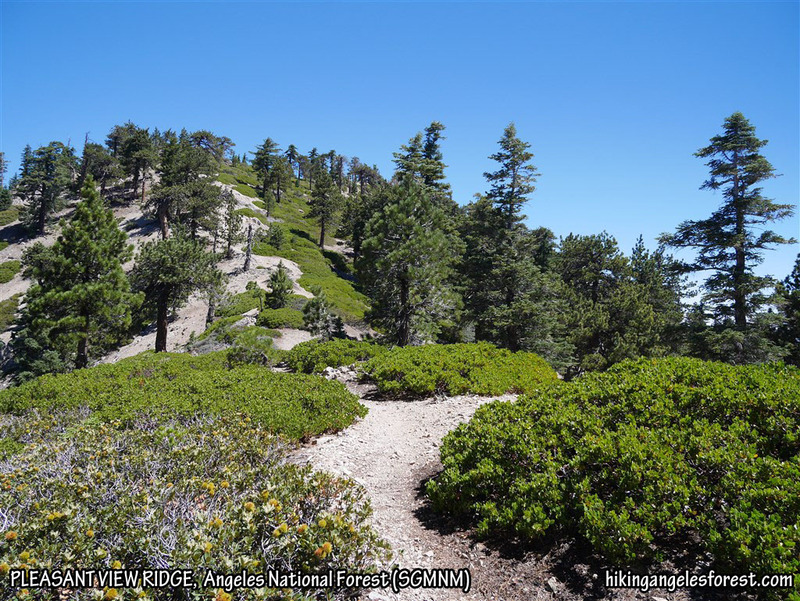 I hiked the Pacific Crest Trail from Eagle’s Roost to Pleasant View Ridge and took the ridge up to Mt. Williamson, Middle Mt. Williamson, and West Mt. Williamson. View toward Mt. Williamson from Pleasant View Ridge heading up from the Pacific Crest Trail. Stats: 6.8 miles, 2185′ gain and loss. Hike #037 Mt. 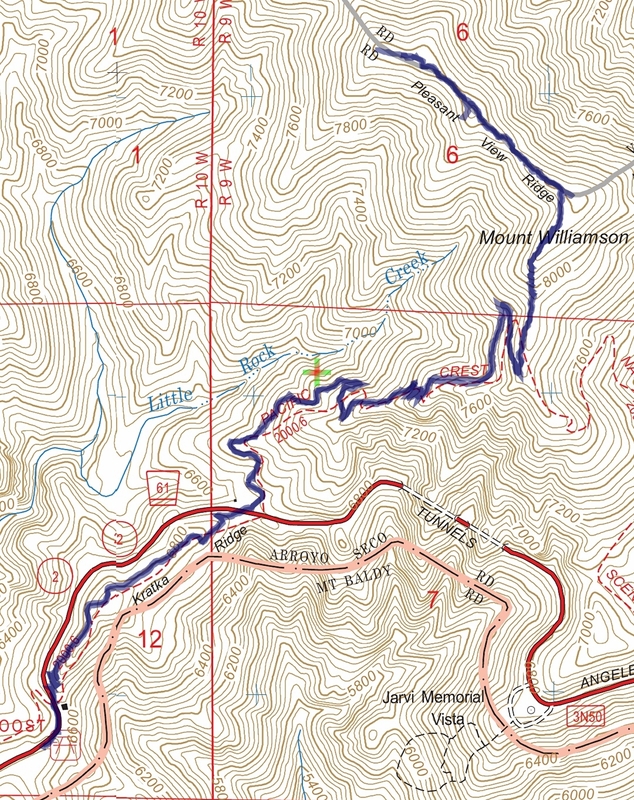 Williamson track map using Backcountry Navigator (US Forest Service-2013 map) from my phone. Stats: 8.9 miles, 2620′ gain and loss. 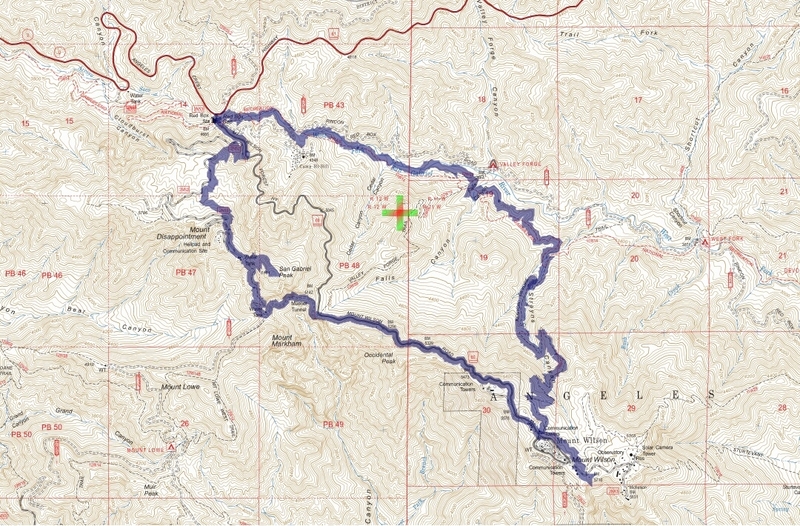 Hike #036 Icehouse Canyon track map using Backcountry Navigator (US Forest Service-2013 map) from my phone. Hike #035 on July 17. 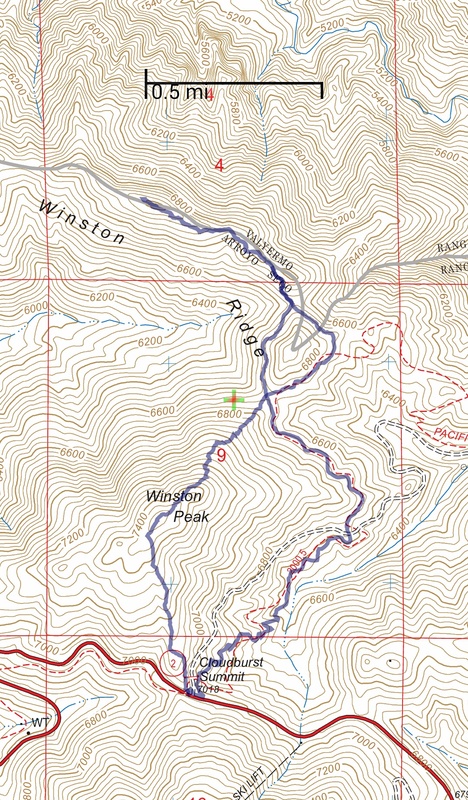 I hiked from Cloudburst Summit to Winston Peak and down to the saddle. From the saddle with Bump 6903, I headed down a dirt road with several branches leading into Squaw Canyon. I went left instead of right at one branch which led me back up the side of Winston Peak. Without much time left to explore, I headed back out of the canyon and took the PCT back to Cloudburst Summit. Looking up at Bump 6903 from the road leading down Squaw Canyon. Stats: 6.8 miles, 1975′ gain and loss. Hike #035 Squaw Canyon track map using Backcountry Navigator (US Forest Service-2013 map) from my phone. Hike #034 on July 12 with Etienne. We hike from Dawson Saddle to Mt. Baden-Powell. 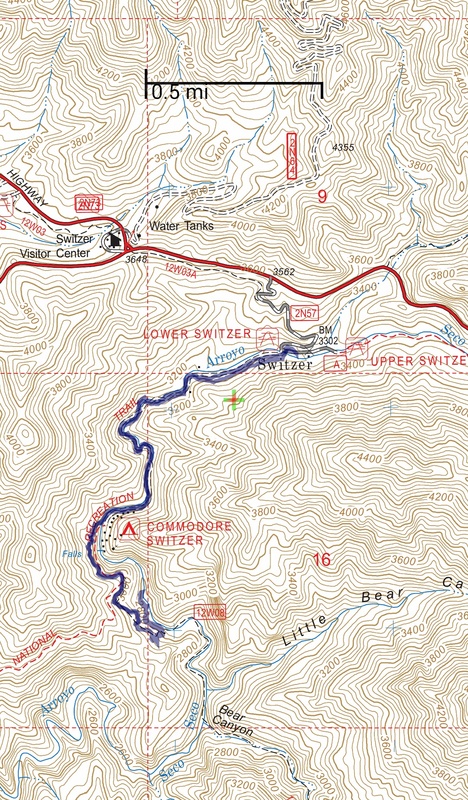 Route Instructions: Dawson Saddle to Mt. Baden-Powell. 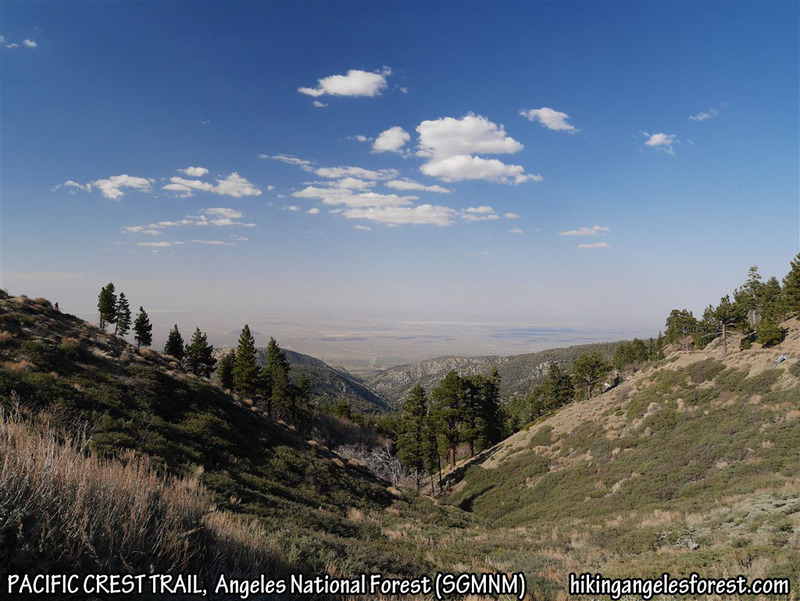 Pacific Crest Trail between Mt. Burnham and Mt. Baden-Powell. Stats: 8.8 Miles, 2236′ gain and loss. Hike #034 Dawson Saddle to Mt. 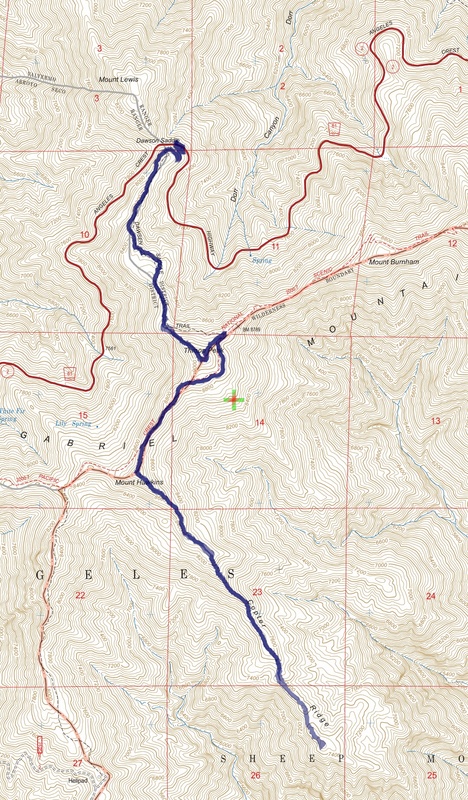 Baden-Powell track map using Backcountry Navigator (US Forest Service-2013 map) from my phone. Stats: 6 miles,1250′ gain and loss. Hike #033 Mt. 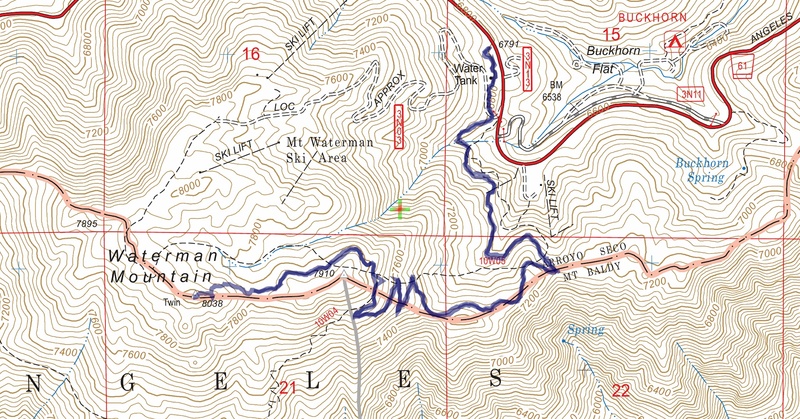 Waterman track map using Backcountry Navigator (US Forest Service-2013 map) from my phone. Hike #032 on May 3 with Debbie and Lorenzo. We did a shuttle hike along the PCT from Vincent Gap to Inspiration Point. At Jackson Flat, we walked through the campground and hiked the short Jackson Flat Geologic Trail and had dinner at Grassy Hollow. Nice sunset and moonrise on this one. View toward Mt. Baden-Powell from the PCT near Inspiration Point. Stats: 5.8 miles, 1350’gain, 405′ loss. 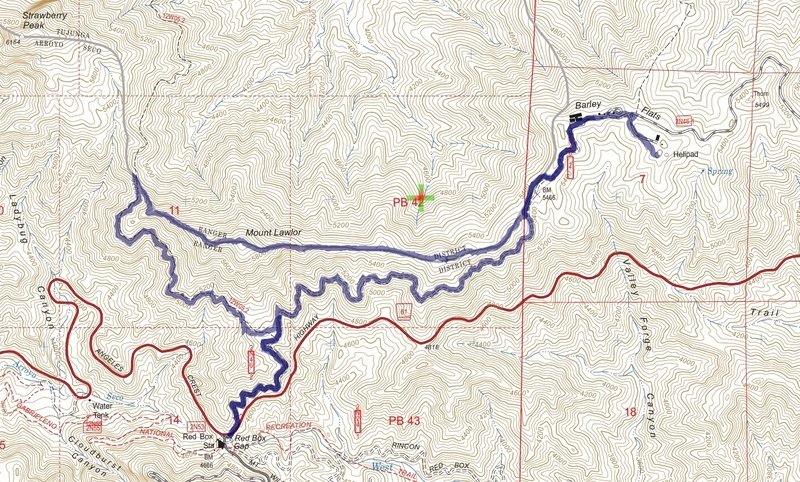 Hike #032 (PCT) track map using Backcountry Navigator (US Forest Service-2013 map) from my phone. Hike #031 on May 1 with Etienne. 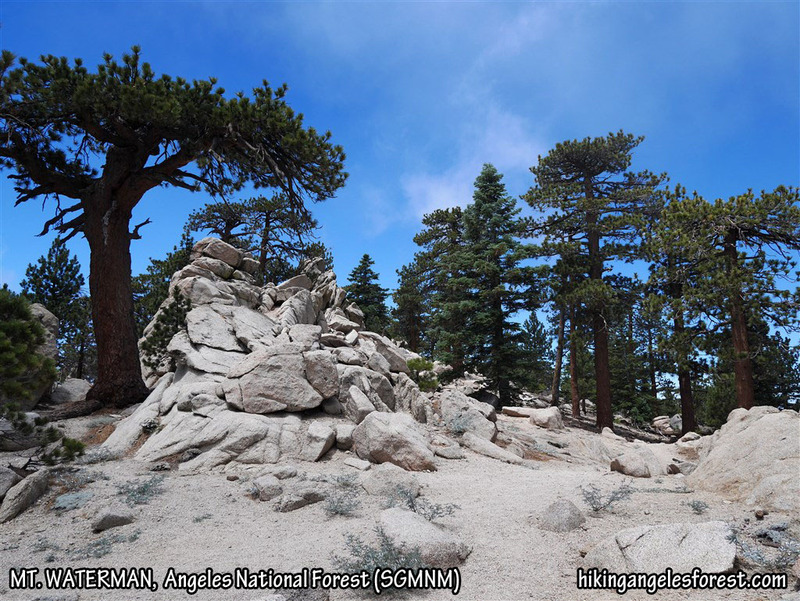 We hiked the PCT from mile marker 62.50 to Eagles Roost and followed Kratka Ridge (lot of x-country scrambling) to the high point which Bruman counts as one of his 106 Tops In The Angeles Forest. We then continued along Kratka Ridge to the Mt. Waterman Trail and took that up to Mt. Waterman. On the way back we took the Mt. Waterman Trail down to the saddle that joins Kratka Ridge and followed the ridge a short way to a dirt road that let out across from the exit of Buckhorn Campground. 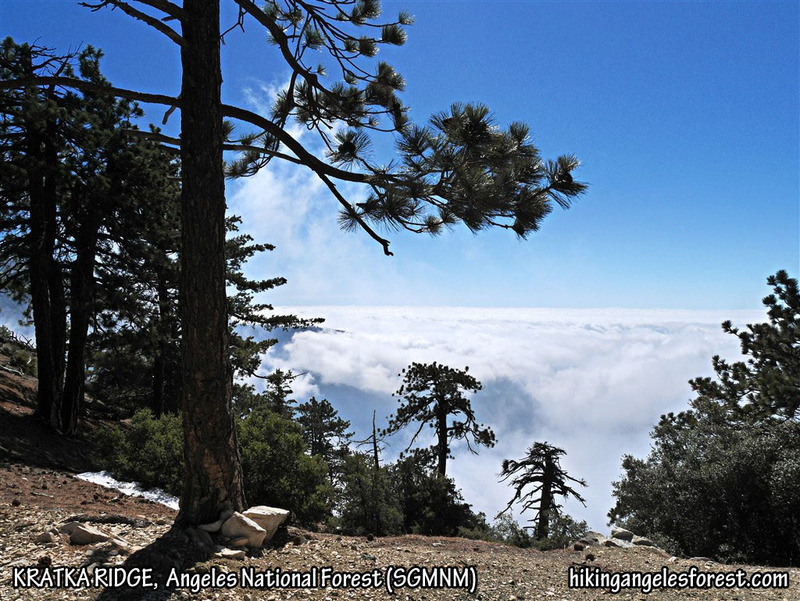 We followed Angeles Crest back to Eagles Roost and took the PCT back to mile marker 62.50. View of the high point along Kratka Ridge which Bruman counts as a “top”. Stats: 13.2 miles, 3250′ gain and loss. Hike #031 (Kratka Ridge) track map using Backcountry Navigator (US Forest Service-2013 map) from my phone. Hike #030 on April 26. 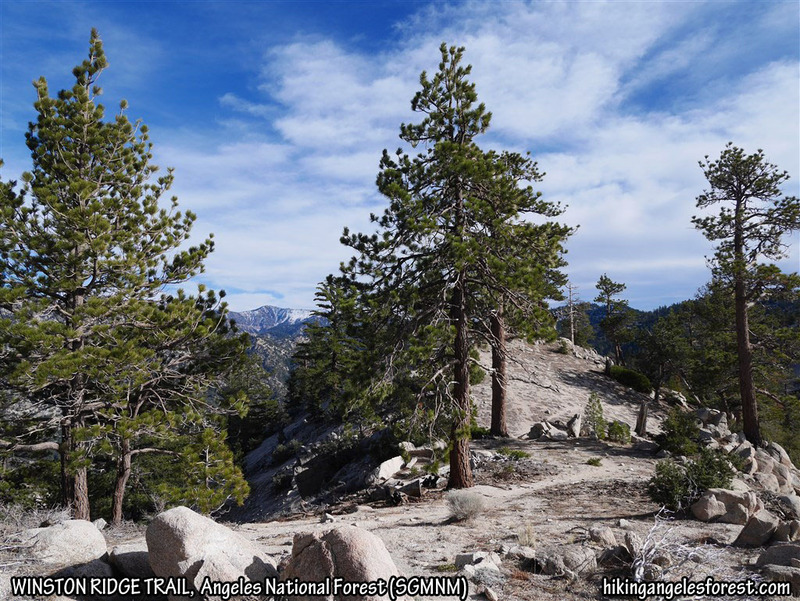 I hiked the Pacific Crest Trail from Inspiration Point to Wright Mountain. Stats: 13.4 miles,2275′ gain and loss. 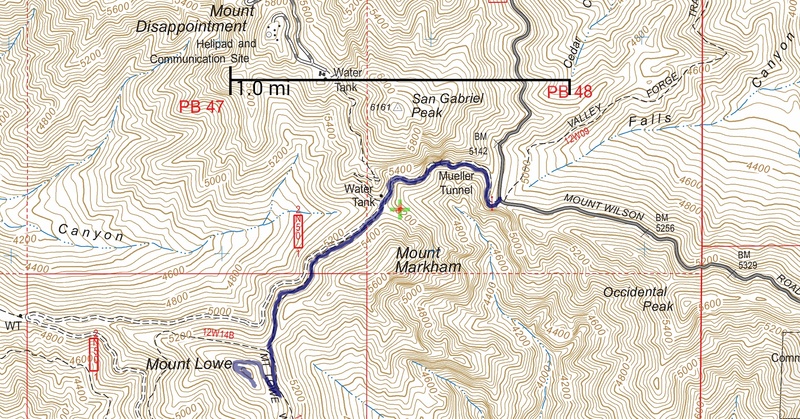 Hike #030 (PCT) track map using Backcountry Navigator (US Forest Service-2013 map) from my phone. Hike #029 on April 19. 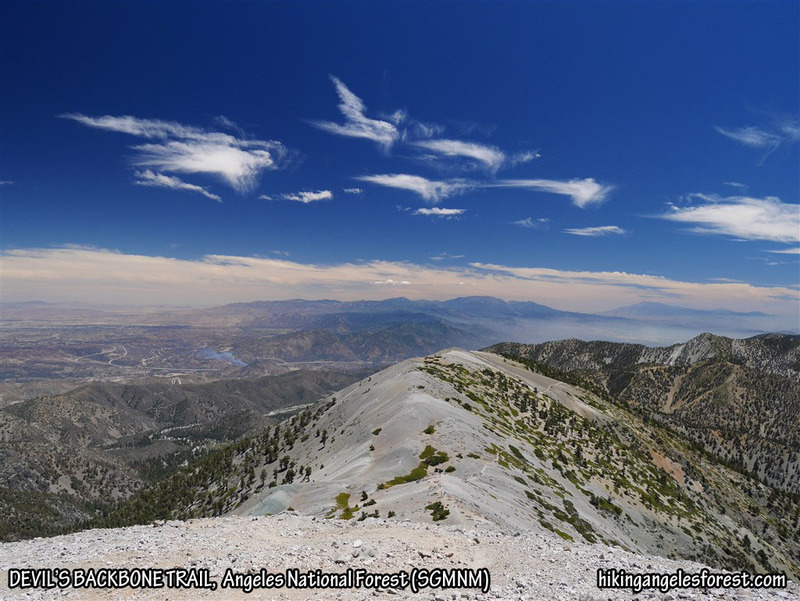 I hiked the Pacific Crest Trail from Vincent Gap to Inspiration Point and returned following several side trips. 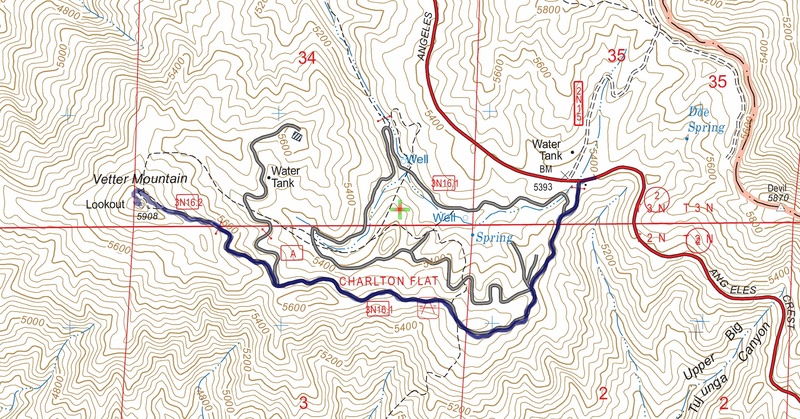 Over half of the hike was off the PCT and in areas without stats on the Harrison map that the stats for this one are entirely from the GPS track. View from the Pacific Crest Trail between Jackson Flat and Grassy Hollow. Stats: 11.5 miles, 2730′ gain. 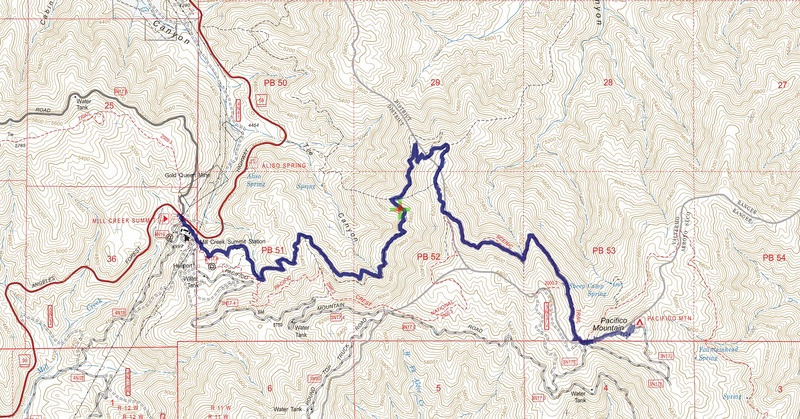 Hike #029 (PCT) track map using Backcountry Navigator (US Forest Service-2013 map) from my phone. Stats: 10.8 miles, 3235′ gain. Hike #028 (Copter Ridge) track map using Backcountry Navigator (US Forest Service-2013 map) from my phone. View from Vetter Mountain looking west. Stats: 4 miles, 520′ gain and loss. 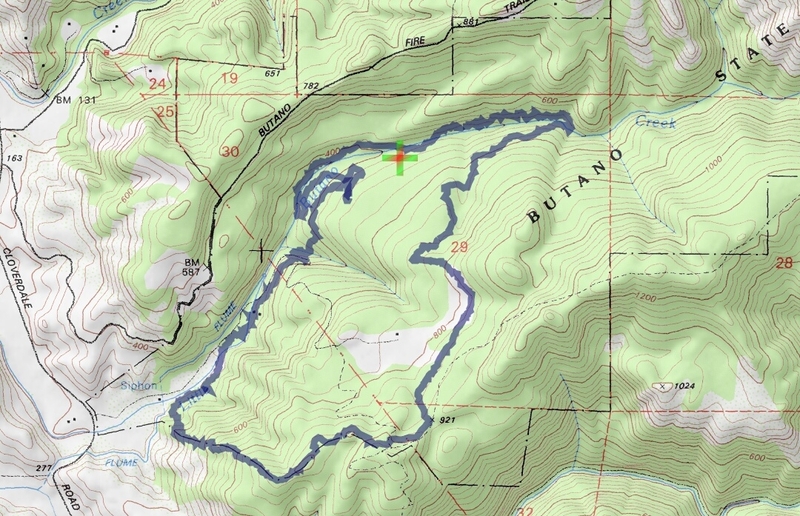 Hike #027 (Vetter Mountain #2) track map using Backcountry Navigator (US Forest Service-2013 map) from my phone. Hike #026 on April 4. 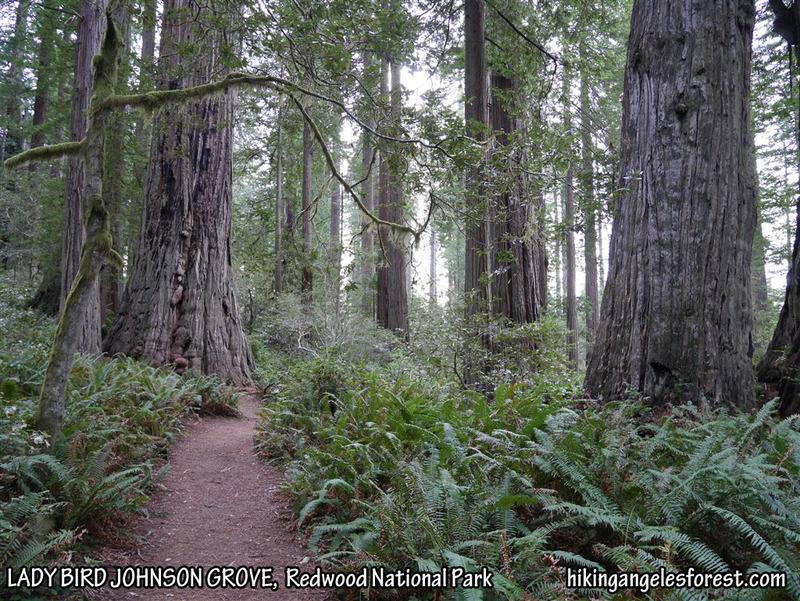 I hike the Lady Bird Johnson Trail in Redwood National Park. 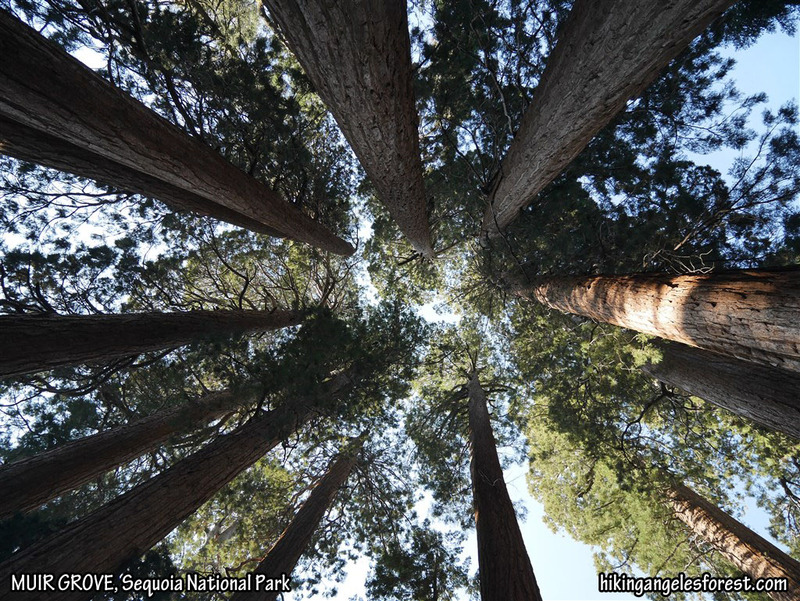 Lady Bird Johnson Grove, Redwood National Park. Stats: 1.6 miles, 215′ gain and loss. 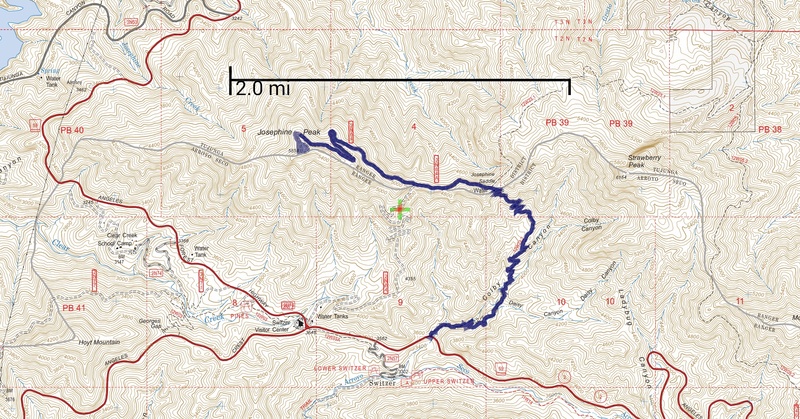 Hike #026 (Redwood National Park) track map using Backcountry Navigator (Accuterra-2013 map) from my phone. Hike #025 on April 3. 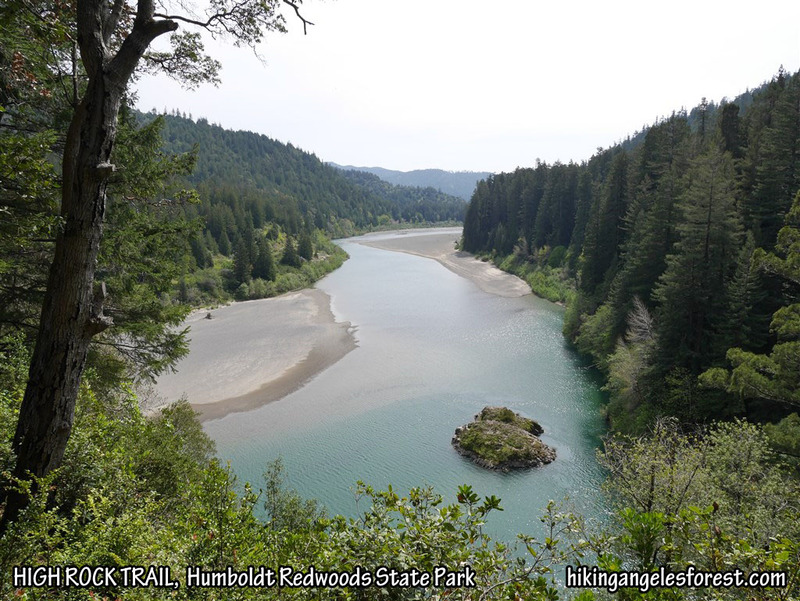 I hiked the High Rock Trail and a spur trail to the Eel River in Humboldt Redwoods State Park. Stats: 1.8 miles, 270′ gain and loss. 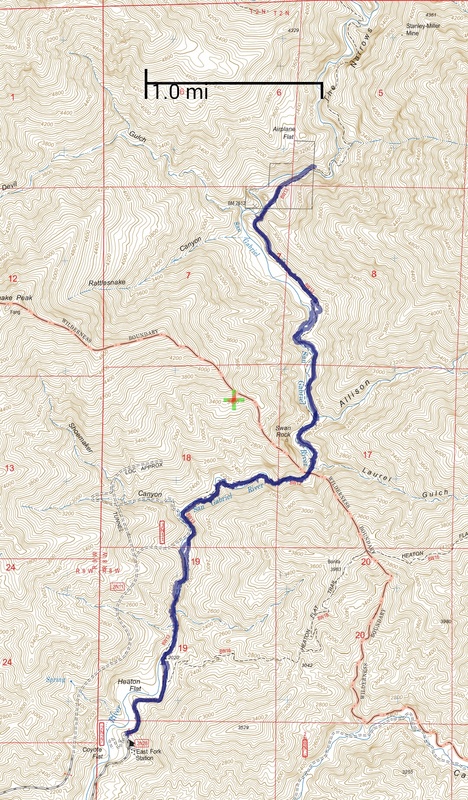 Hike #025 (Humboldt Redwoods State Park) track map using Backcountry Navigator (Accuterra-2013 map) from my phone. Hike #024 on April 2. 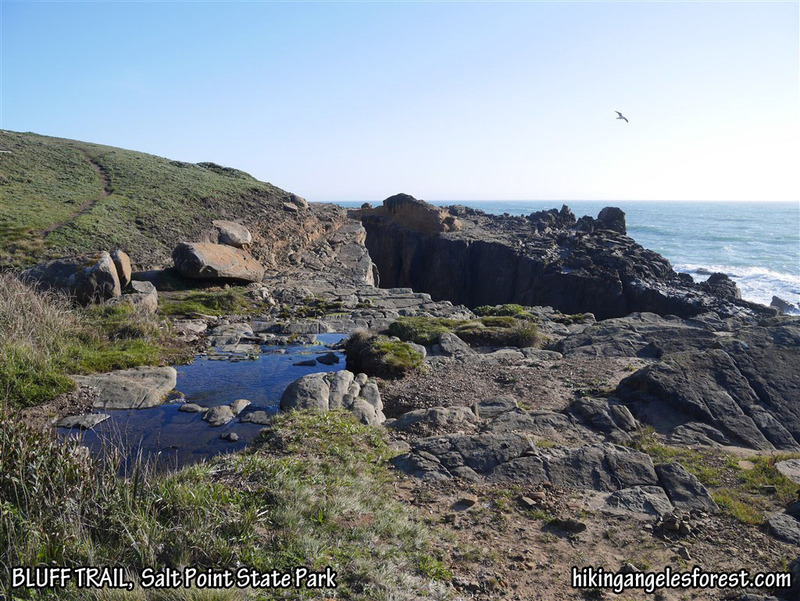 I camped at Woodside Campground in Salt Point State Park and hiked the Salt Point and Bluff Trails. Bluff Trail, Salt Point State Park. Stats: 7.4 miles, 670′ gain and loss. 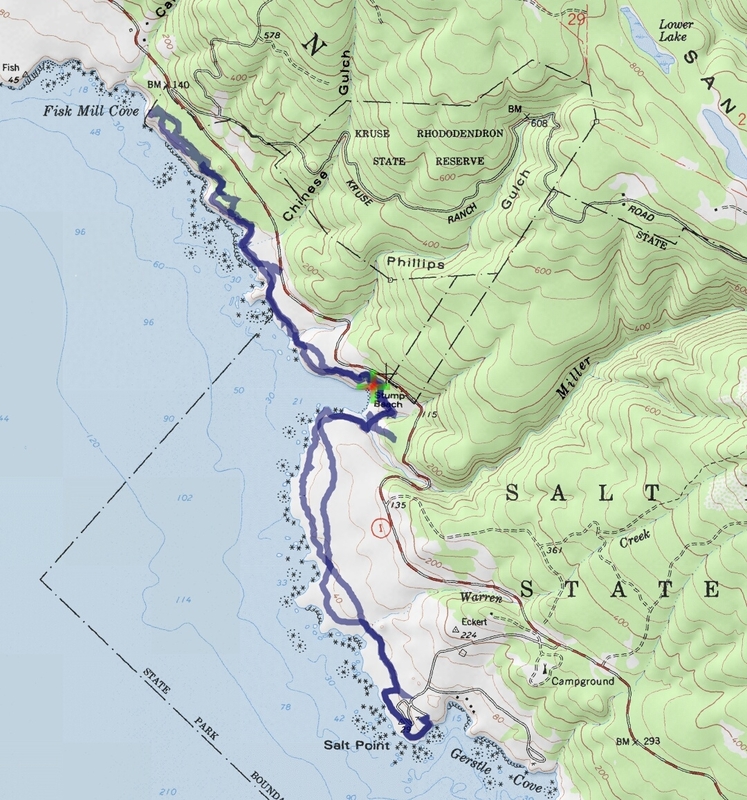 Hike #024 (Salt Point State Park) track map using Backcountry Navigator (Accuterra-2013 map) from my phone. Hike #023 on April 1. 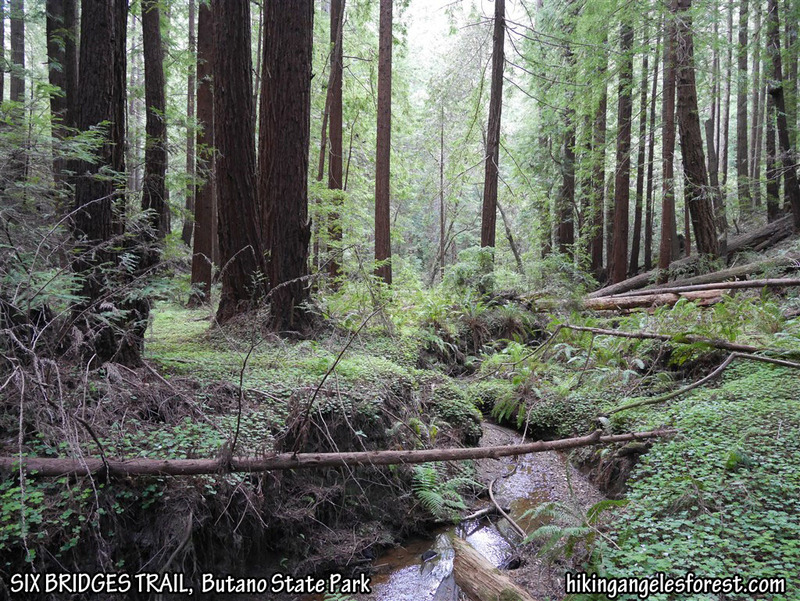 I camped at Ben Reis Campground in Butano State Park and hiked a loop consisting of the Six Bridges Trail, Ano Nuevo Trail, Goat Hill Trail, and Little Butano Creek Trail. Stats: 6.2 Miles, 1140′ gain and loss. 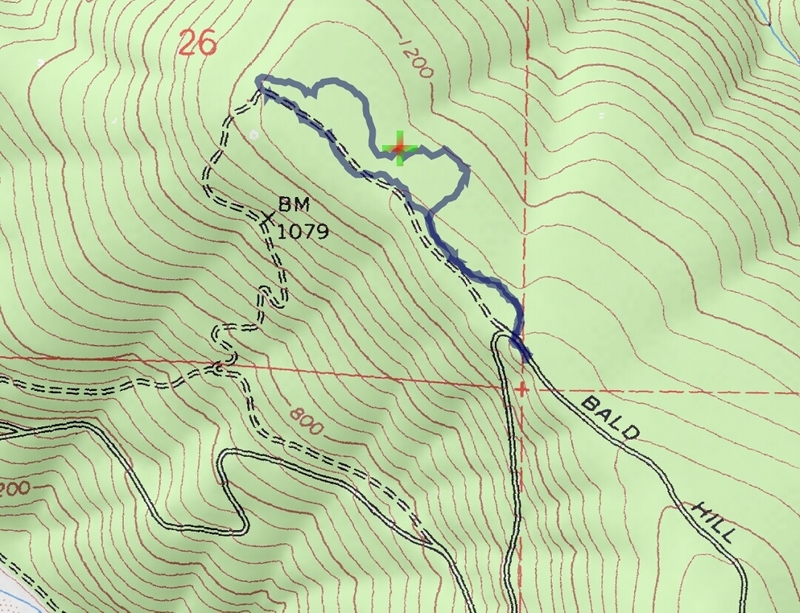 Hike #023 (Butano State Park) track map using Backcountry Navigator (Accuterra-2013 map) from my phone. Hike #022 on March 28. I hiked the Pacific Crest Trail from Three Points to Sulphur Springs Campground with Debbie, Camila, Chloe, Etienne, and Lupita. 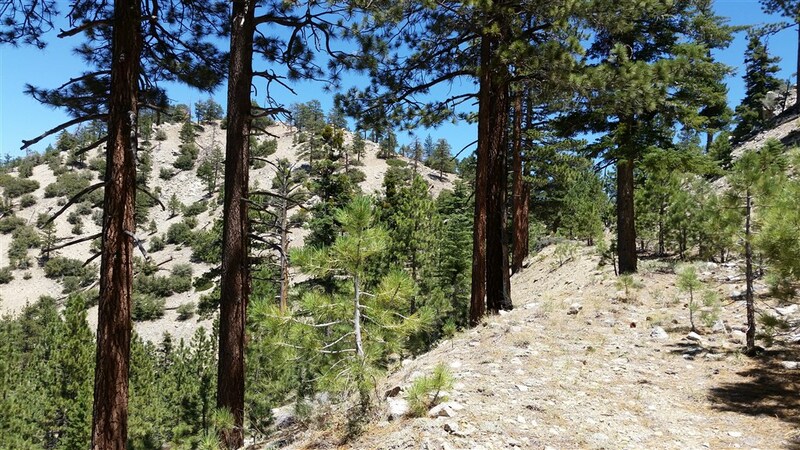 View along the Pacific Crest Trail near Sulphur Springs Campground. Stats: 7 miles, 645′ gain and loss. 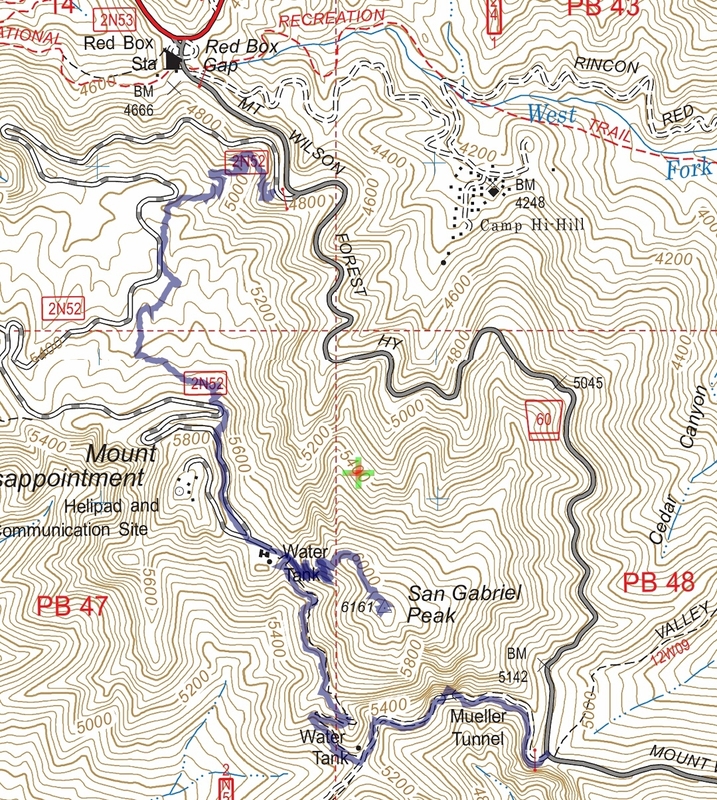 Hike #022 (Pacific Crest Trail) track map using Backcountry Navigator (US Forest Service-2013 map) from my phone. Hike #021 on March 26. From South Fork, I hiked the Manzanita Trail (A.K.A. 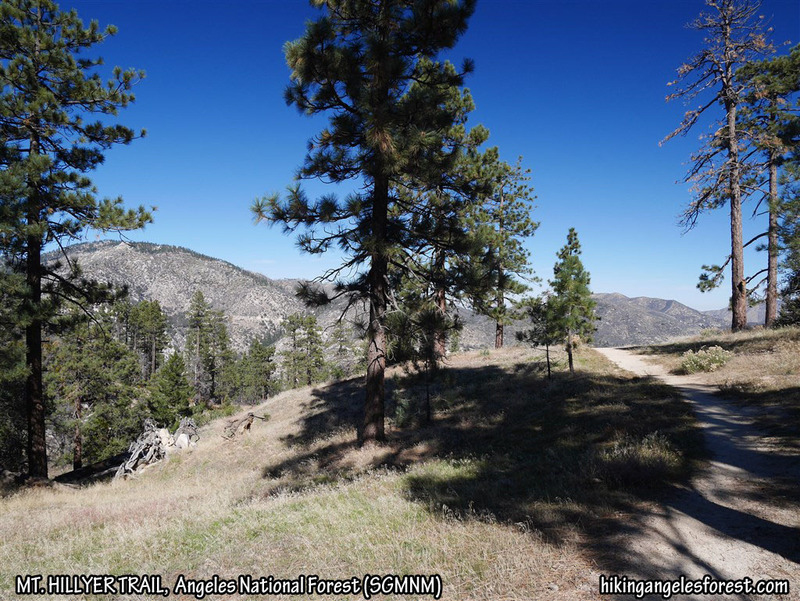 High Desert National Recreation Trail) to Vincent Gap. 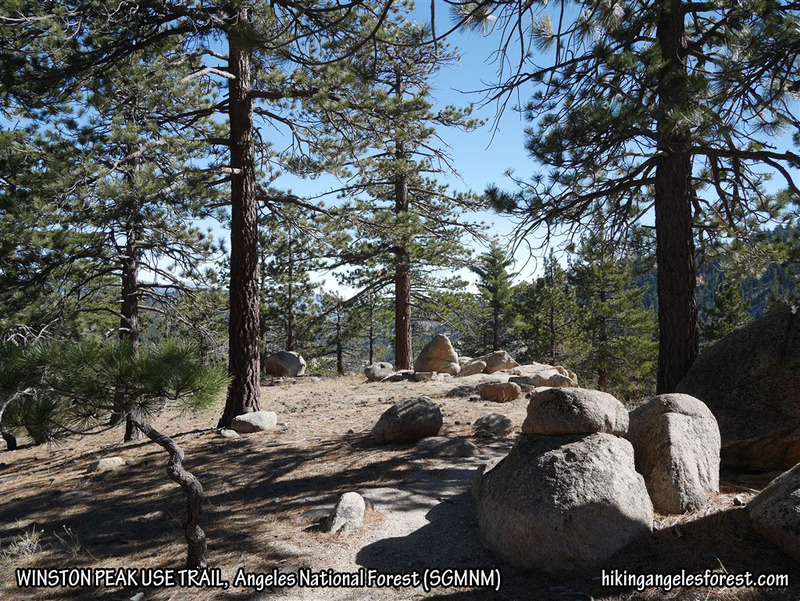 One of the best trails in Angeles National Forest with plenty of shade and well maintained. One of the typically shady areas under oak trees for a large portion of the trail. Stats: 10.6 miles, 2500′ gain and loss. Hike #021 (Manzanita Trail) track map using Backcountry Navigator (US Forest Service-2013 map) from my phone. Hike #020 on March 22. From Red-Box, I hiked up to Strawberry Saddle and took the use trail (which includes some rock scrambling) up to Mt. Lawlor. From Mt. Lawlor, I continued along the use trail (that at times was a little overgrown) and made it down to Barley Road and took that to Barley Flats where one of the Sherrif Department helicopters was parked. A pilot came out to talk to me, asked my what route I took to get there, and we had a short pleasant conversation. I went back to Red Box following Barley Road. The portion of the road between the junction leading back to Mt. Lawlor and the junction leading to Strawberry Saddle is significantly overgrown but passable. There are a couple areas that require thought to get around and some people might classify them as sketchy. One spot looks to have had a chain put there to help cross, but one end is no longer attached. Next time, I’ll either go back by way of Mt. 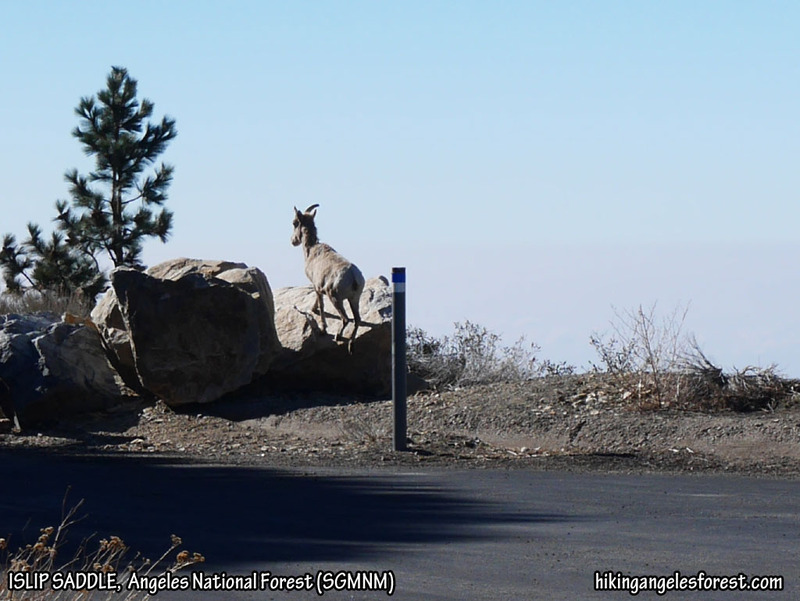 Lawlor or set up a shuttle and walk down the paved road from Barely Flats to Angeles Crest Highway. View toward Mt. Lukens, Josephine Peak, and Strawberry Peak from the west portion of the use trail to Mt. Lawlor. Stats: 9.3 miles, 1725′ gain and loss. Hike #020 (Mt. 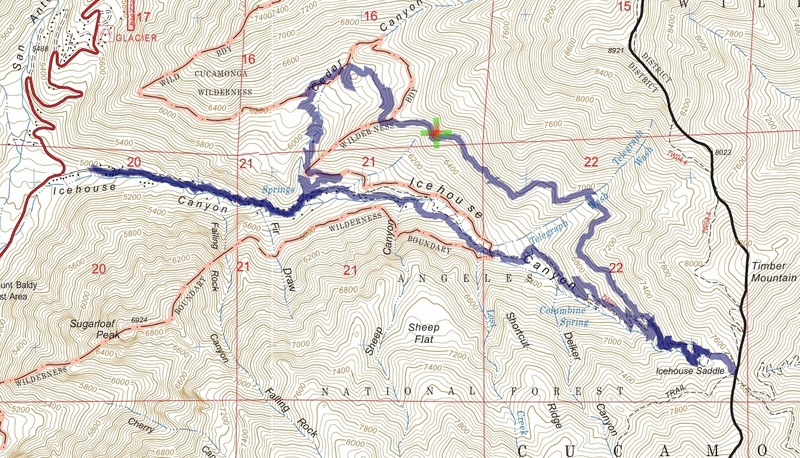 Lawlor) track map using Backcountry Navigator (US Forest Service-2013 map) from my phone. Hike #019 on March 21. 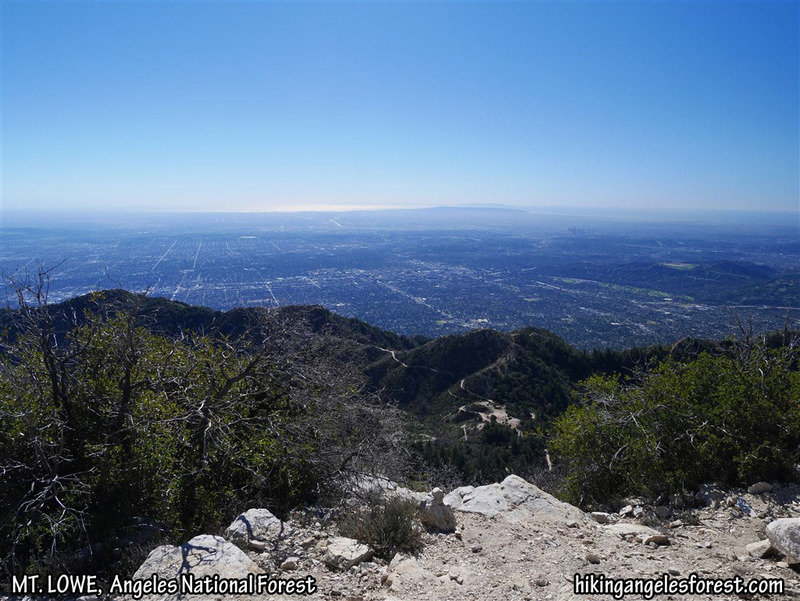 Debbie and I did a shuttle hike of the San Gabriel Peak Trail to San Gabriel Peak and then took the South San Gabriel Peak Trail and Mt. Lowe Road to Eaton Saddle. 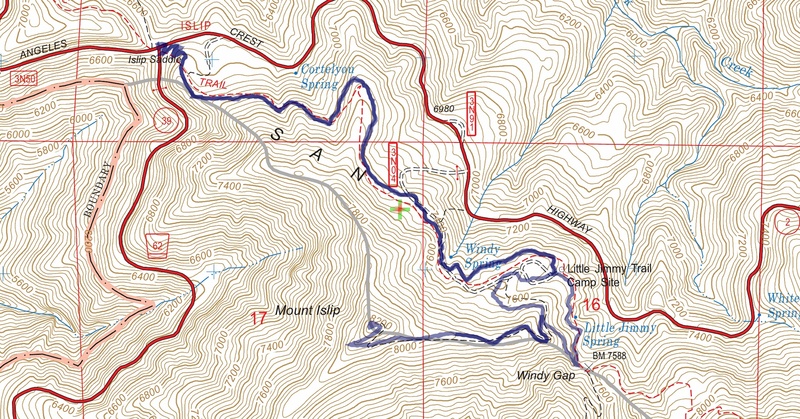 Route Instructions: San Gabriel Peak Trailhead to SGP to Eaton Saddle. View toward Mt. Lukens from San Gabriel Peak. Stats: 3.4 miles, 1411′ gain, 1071′ loss. 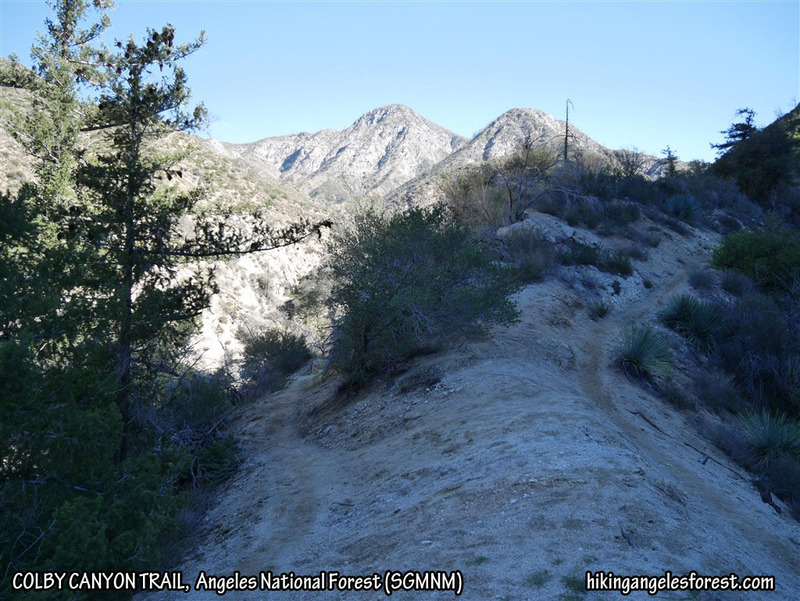 Hike #019 (San Gabriel Peak) track map using Backcountry Navigator (US Forest Service-2013 map) from my phone. Hike #018 on March 13. I hiked from Red Box down the Gabrieleno Trail to the Kenyon-Devore Trail and followed that to the pavillion (a.k.a. Cosmic Cafe) on Mt. Wilson. From Mt. Wilson, I followed Kenyon-Devore back until it meet Mt. Wilson Road and followed that down to Eaton Saddle. 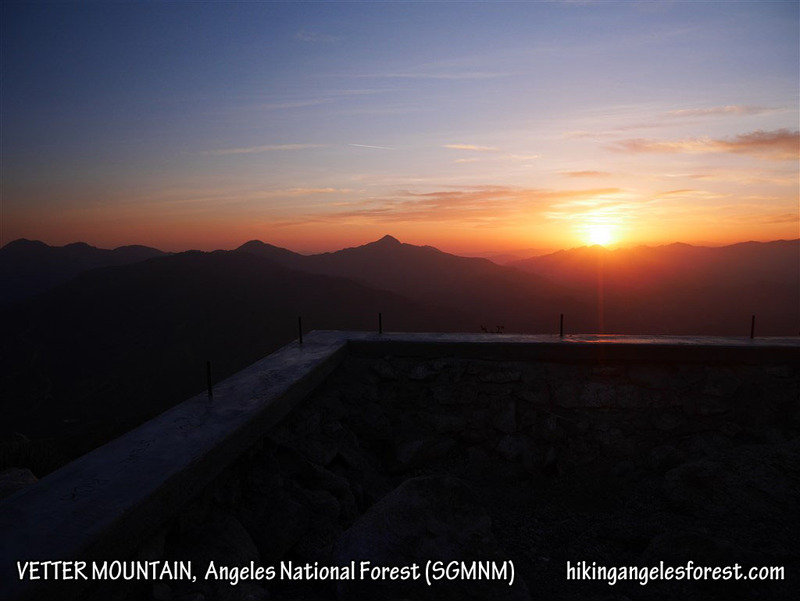 From Eaton Saddle, I hiked up to San Gabriel Peak and then followed the San Gabriel Peak Trail down to Mt. Wilson Road and took that to Red Box. 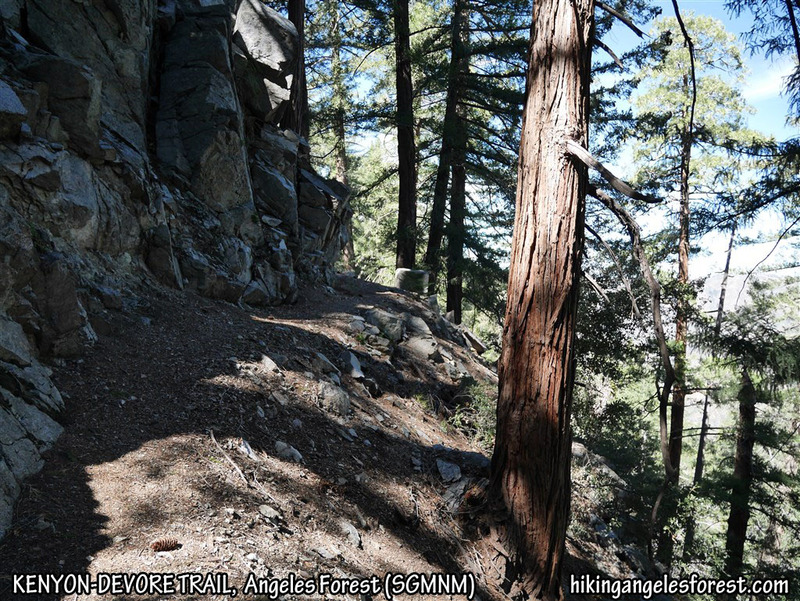 Kenyon-Devore Trail near Mt. Wilson. Stats: 13.5 miles, 3406′ gain and loss. Hike #018 (Mt. 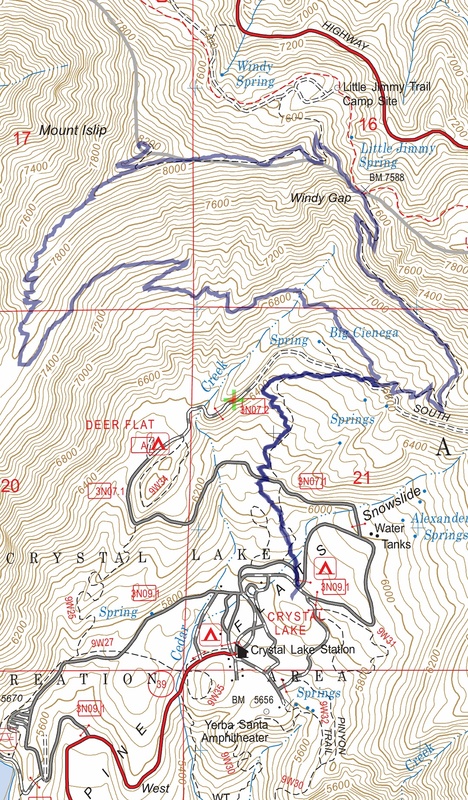 Wilson) track map using Backcountry Navigator (US Forest Service-2013 map) from my phone. Hike #017 on March 8. I hiked from Crystal Lake Campground up to Mt. Islip following the Big Cienega and the South Islip Ridge Trails. I finished the loop by following the Islip Ridge and Windy Gap Trails back down to Crystal Lake Campground. View just below Mt. Islip facing Mt. Williamson. Stats: 7.5 miles, 2420’gain and loss. Hike #017 (Mt. Islip) track map using Backcountry Navigator (US Forest Service-2013 map) from my phone. Hike #016 on March 3. I hiked the PCT from the trailhead at mile marker 62.50 toward the junction at Pleasant View Ridge. 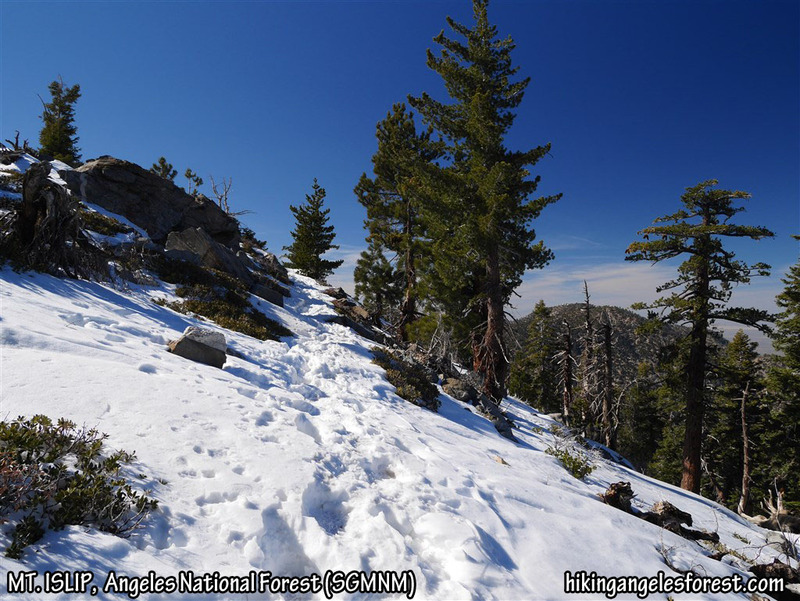 I lost the trail in the snow, got to a steep area, and decided to go back when the way forward wasn’t clear to me. I thought I’d just go down Angeles Crest to Mt. Waterman which I know well in the snow but got a flat tire on the way and called it a day. Pacific Crest Trail between mile marker 62.60 and the junction at Pleasant View Ridge. Stats: 1.3 miles, 435′ gain and loss. 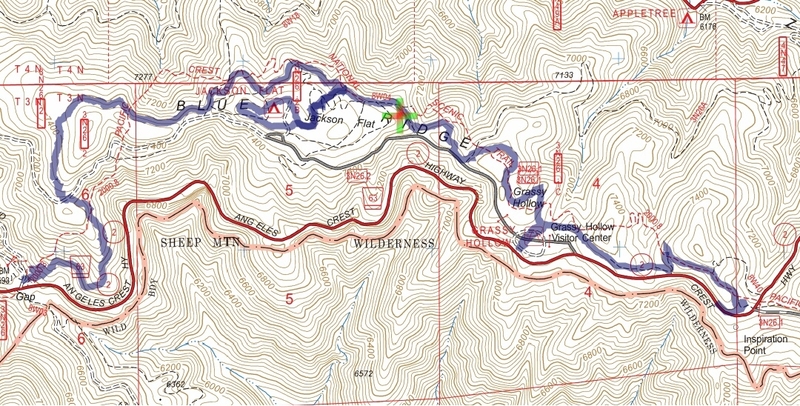 Hike #016 (PCT) track map using Backcountry Navigator (US Forest Service-2013 map) from my phone. Hike #015 on Feb 27. 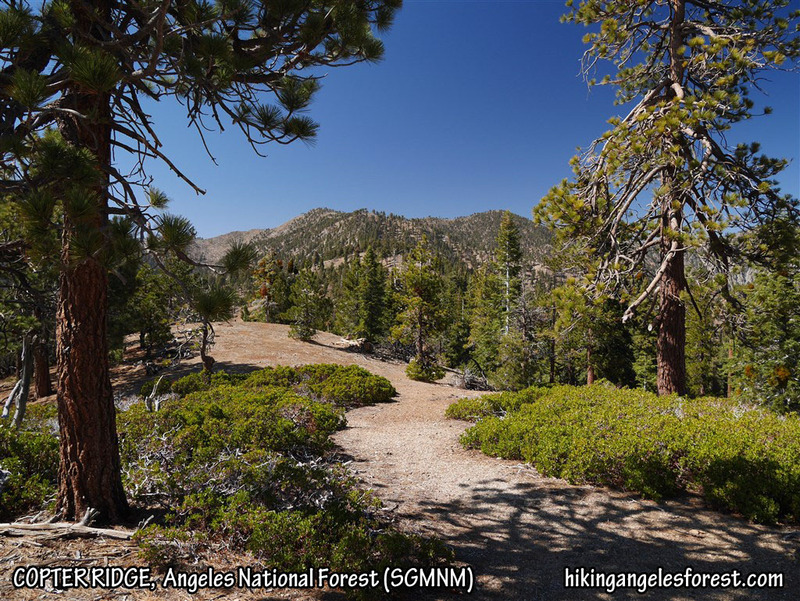 I hiked the PCT and the Kratka Ridge in Angeles National Forest from the PCT trailhead below Islip Saddle, past Eagle’s Roost to an un-named bump near Cedar Springs. Looking down on the clouds rolling in from Kratka Ridge at about 6800′. Stats: 4.1 miles, 1100′ of gain and loss. Hike #015 (Kratka Ridge) track map using Backcountry Navigator (US Forest Service-2013 map) from my phone. View from the Mt. Hillyer Trail toward Winston Peak, Mt. Waterman, and Twin Peaks. Stats: 6.2 miles, 945′ gain and loss. Hike #014 (Mt. Hillyer) track map using Backcountry Navigator (US Forest Service-2013 map) from my phone. I made it to as far at one of the rocks in the background before turning back. Though arduous, there were also numerous great spots along the stream that could have also served as good stopping points. Stats: 10.4 miles, 2020′ gain and loss. 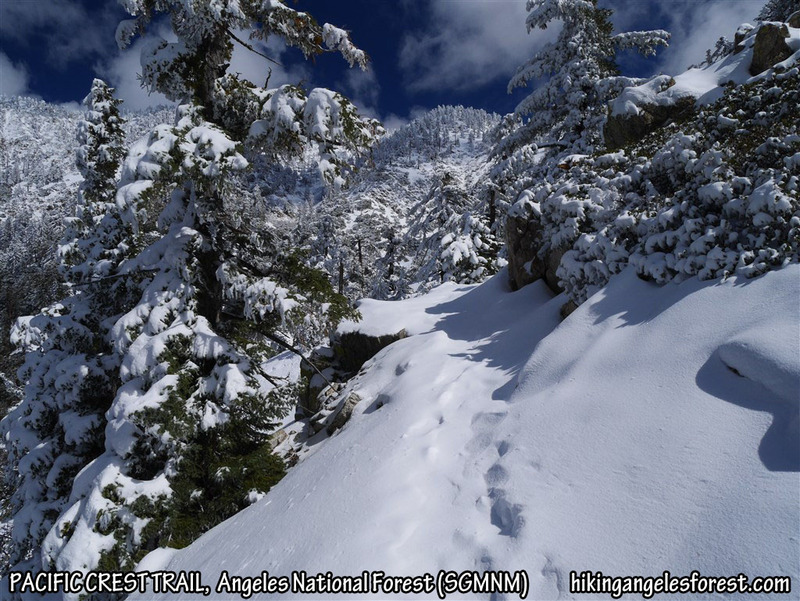 Hike #013 track map using Backcountry Navigator (US Forest Service-2013 map) from my phone. 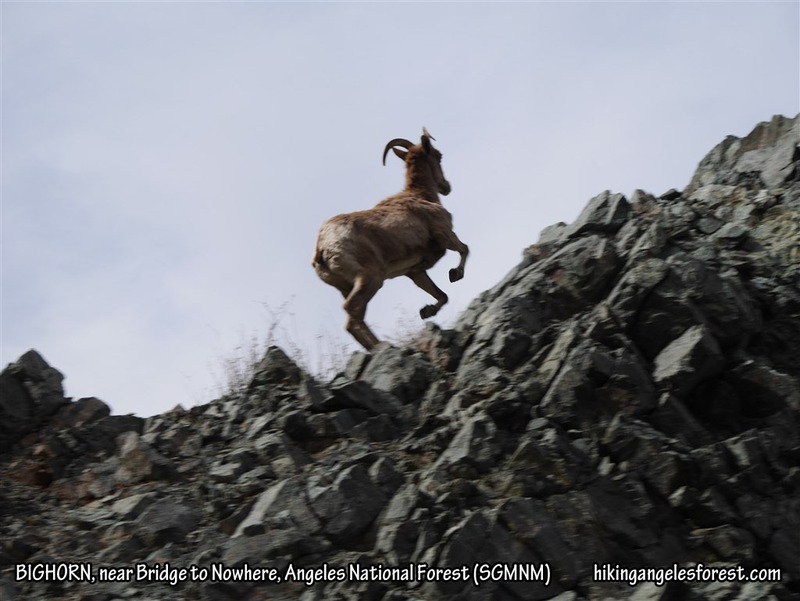 One of the two Bighorn Sheep I saw from Islip Saddle. Stats: 6.7 miles, 1580′ gain and loss. 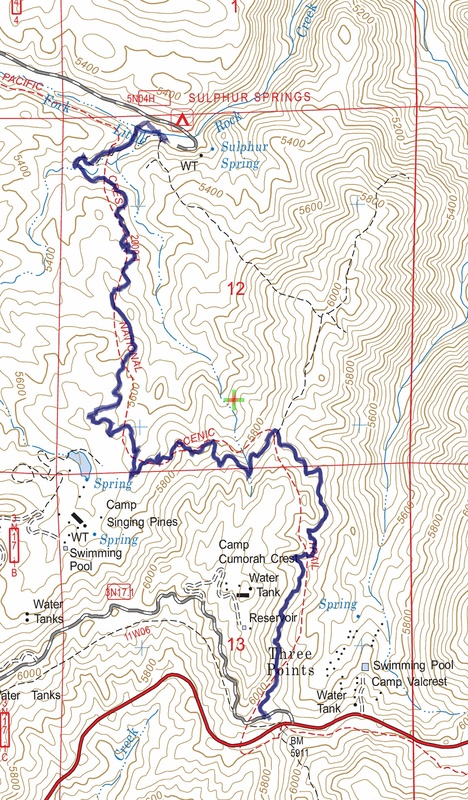 Hike #012 track map using Backcountry Navigator (US Forest Service-2013 map) from my phone. 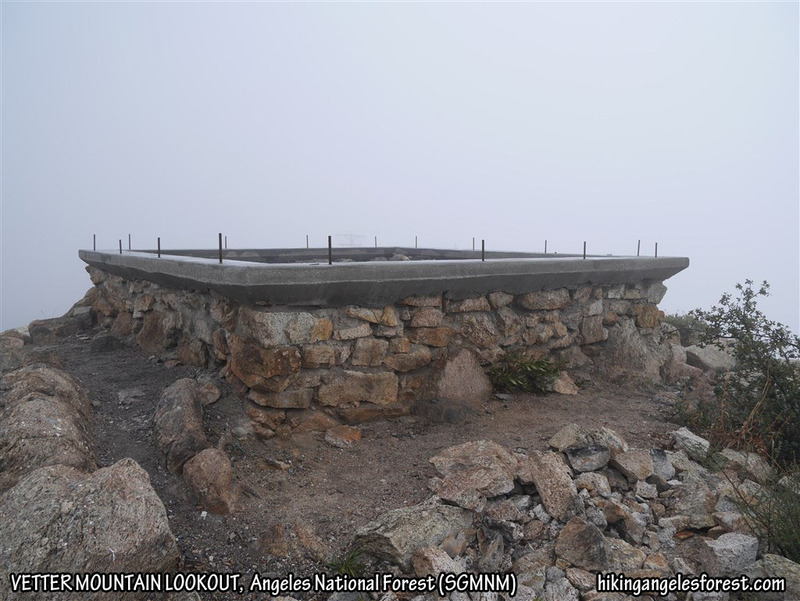 New foundation in place for the new Vetter Mountain Lookout. Hike #011 track map using Backcountry Navigator (US Forest Service-2013 map) from my phone. Hike #010 on Feb 5. I solo hiked the Gabrieleno Trail from Red Box to Devore Trail Camp and back. Significant trail maintenance between Valley Forge and West Fork was done since my last hike in this area (Oct 2013). In addition, re-growth has choked out most of the poodle-dog bush and made the area far more green to walk through. 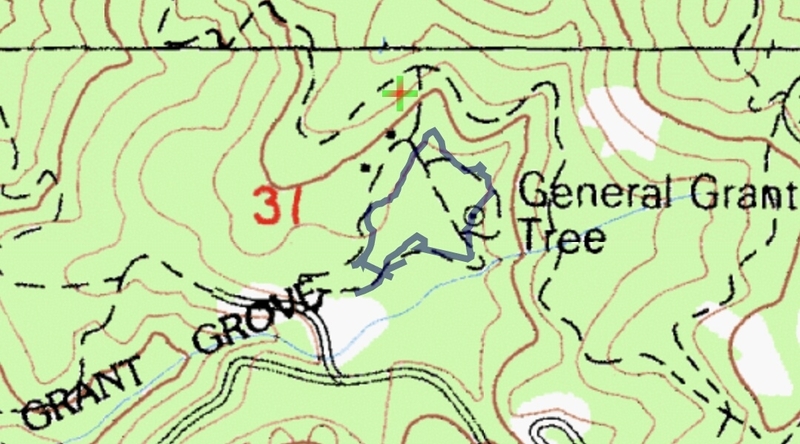 As a result of the trail maintenance and re-growth between Valley Forge and West Fork; there is no poodle-dog bush blocking any part of that segment of the trail. 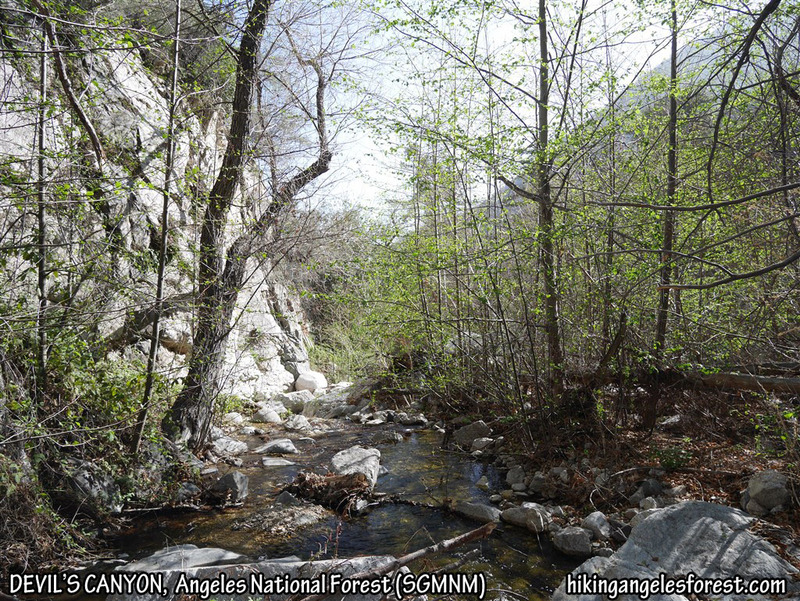 View of the San Gabriel River along the Gabrieleno Trail near Devore Trail Camp. Stats: 13 miles, 2420′ gain and loss. 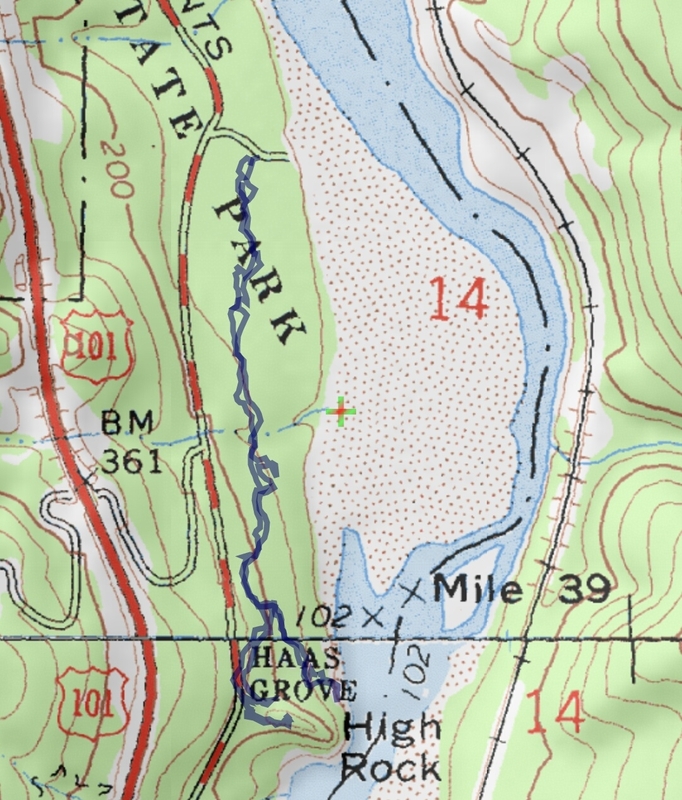 Hike #010 track map using Backcountry Navigator (US Forest Service-2013 map) from my phone. Hike #009 on Feb 1. 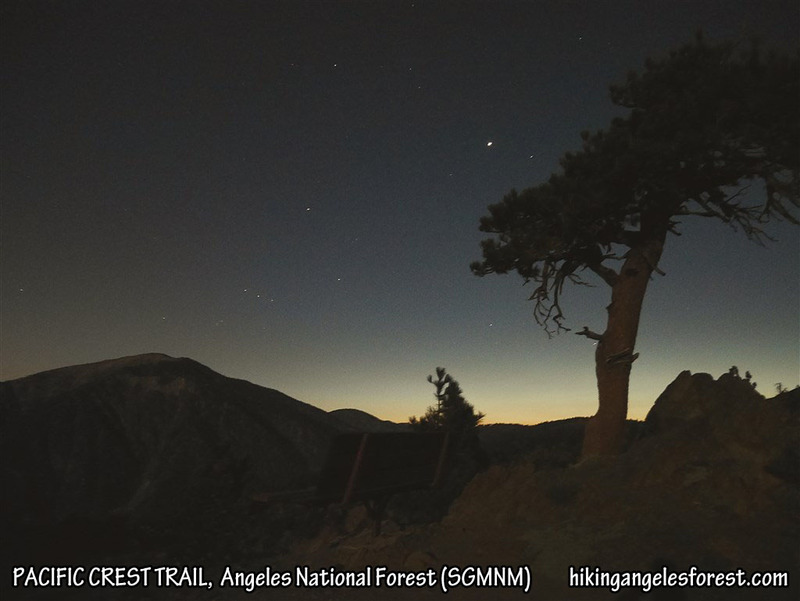 I solo hiked in Angeles National Forest. 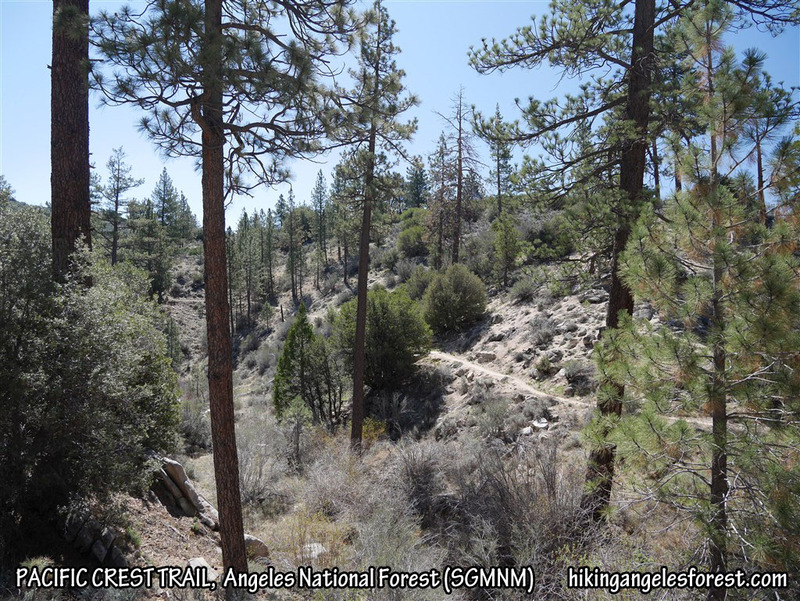 From the Mill Creek Picnic Area, I followed the Pacific Crest Trail to a use trail which led to Mt. Pacifico and returned the same way. 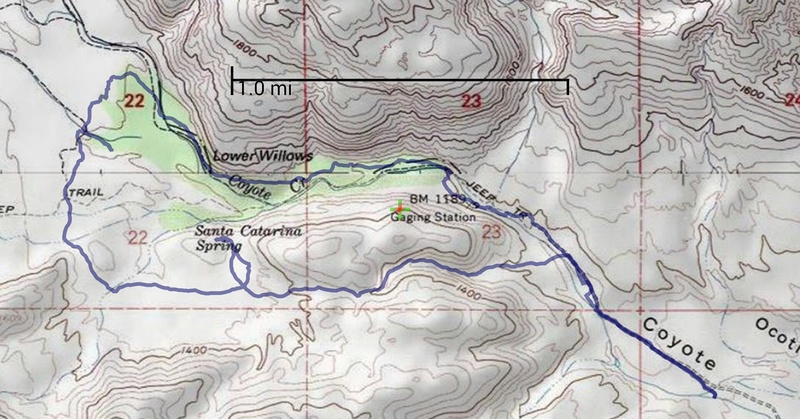 (Note: I followed Halfmile’s Track on the PCT which is clearly marked with signs on the trail and is possibly a re-route of the USFS track–which currently isn’t marked with signs or obvious at this time–the difference is clearly shown on my track map below). 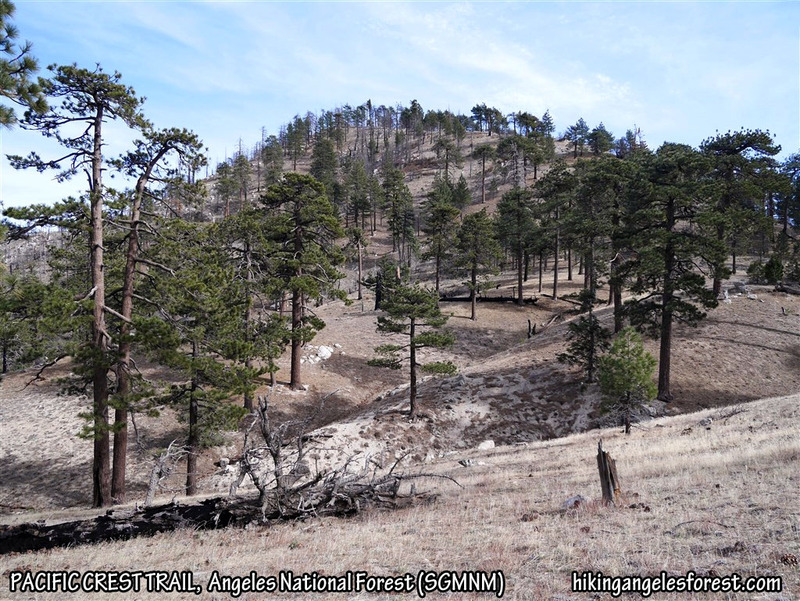 Although about half the hike is through mostly burn area, I found it uplifting that most of the pines at the upper elevations escaped death. There is currently almost no poodle-dog bush on the trail and what little there is can easily be avoided (probably the work of the PCTA). A lot of poodle-dog bush can still be seen from trail though. View toward Mt. Pacifico from the Pacific Crest Trail. Stats: 11.8 miles, 2,260′ gain and loss. 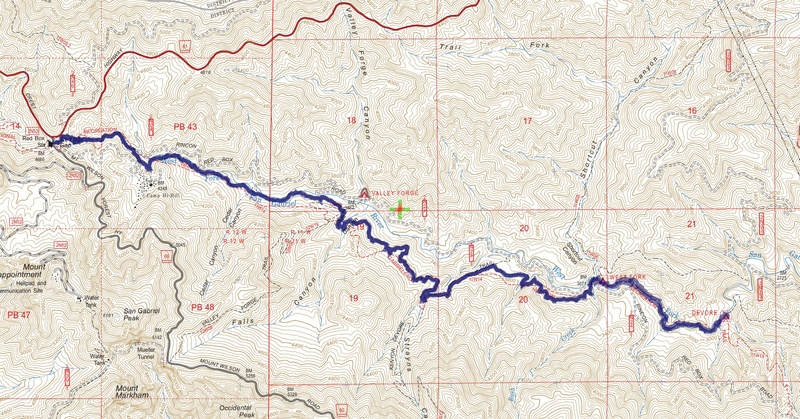 Hike #009 track map using Backcountry Navigator (US Forest Service-2013 map) from my phone. Hike #008 on Jan 25. 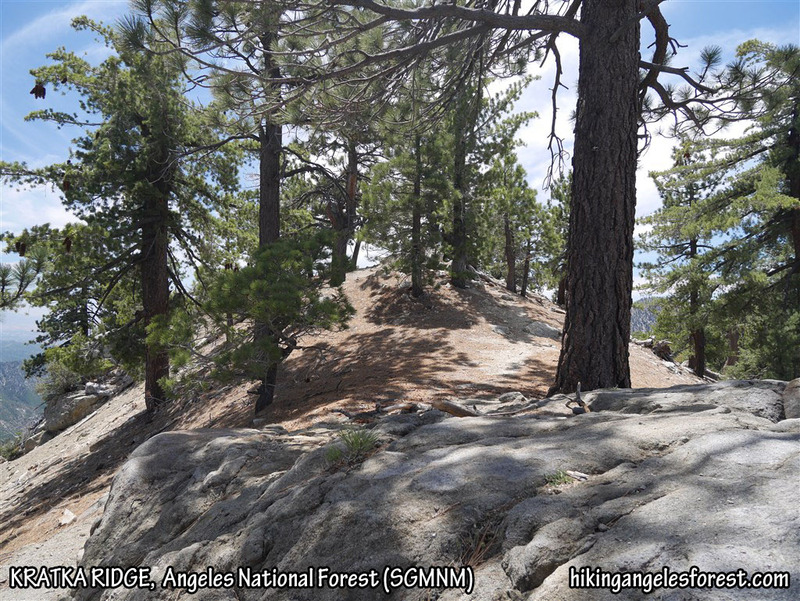 I hiked in Angeles National Forest with Roxanne. 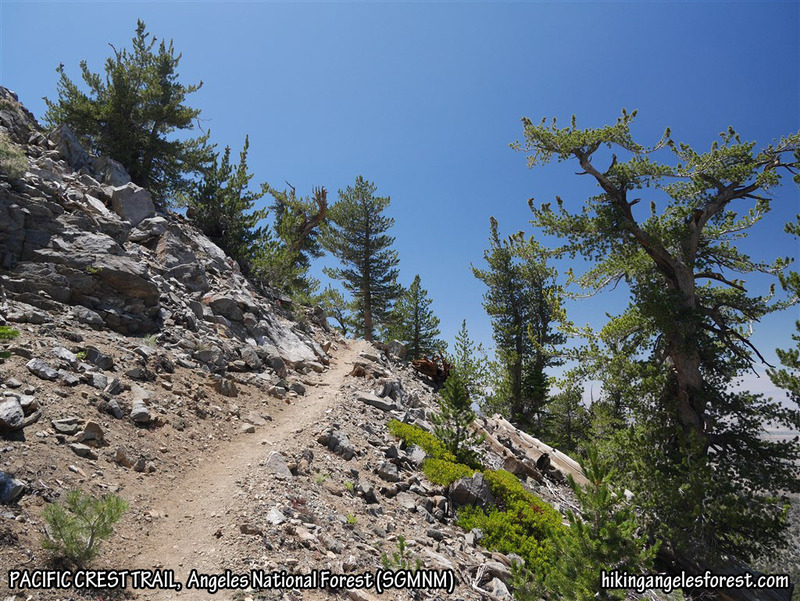 We hiked the Pacific Crest Trail from Cloudburst Summit to the north “use trail” around Bump 6903 and followed that and the Winston Ridge “use trail” to Winston Ridge. We returned using the west “use trail” around Bump 6903 and summitted Winston Peak on the way back to Cloudburst Summit. View from the Winston Ridge use trail with a snow capped Throop Peak in the background. Stats: 4.7 miles, 1375′ gain and loss. 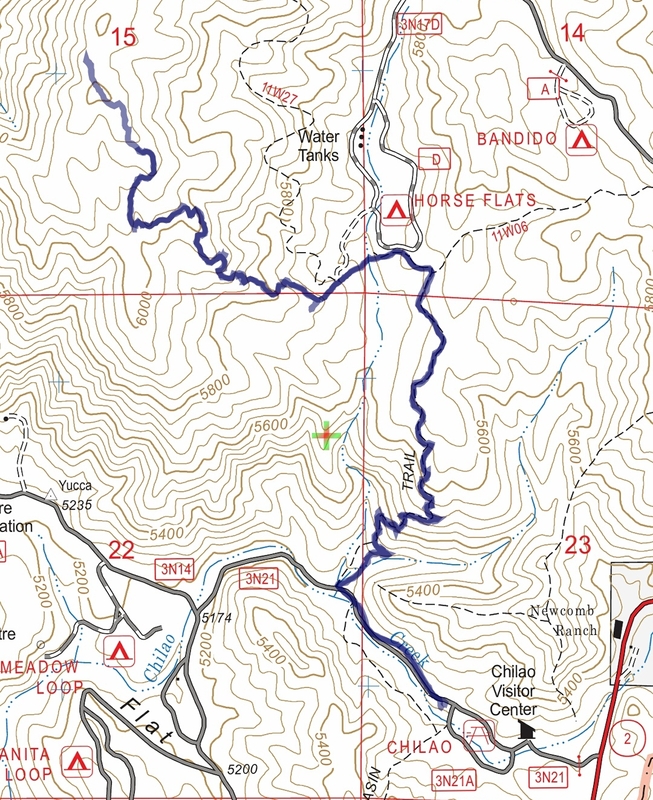 Hike #008 track map using Backcountry Navigator (US Forest Service-2013 map) from my phone. Hike #007 on Jan 24. 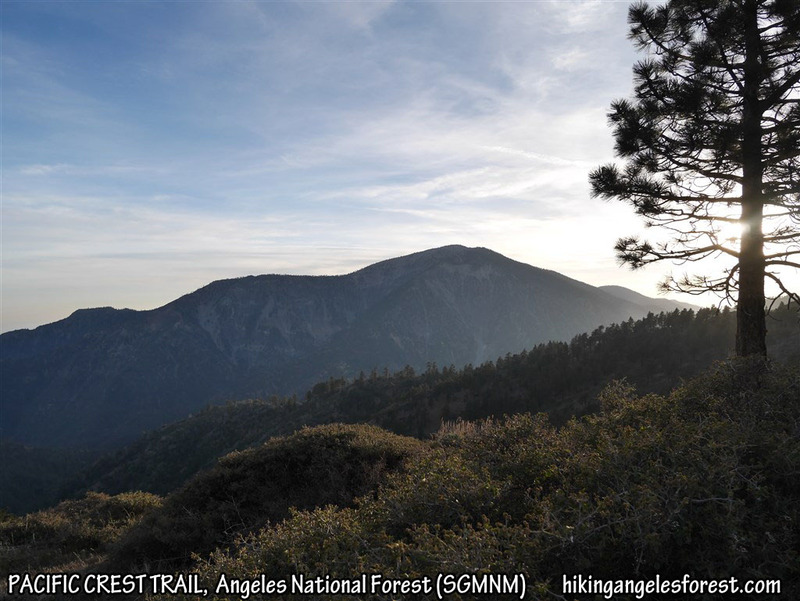 I hiked in Angeles National Forest from Eaton Saddle to Mt. Lowe with Debbie, Roxanne, Etienne, Camila, Chloe, Karl, Valery, Troy, and Ziggy. 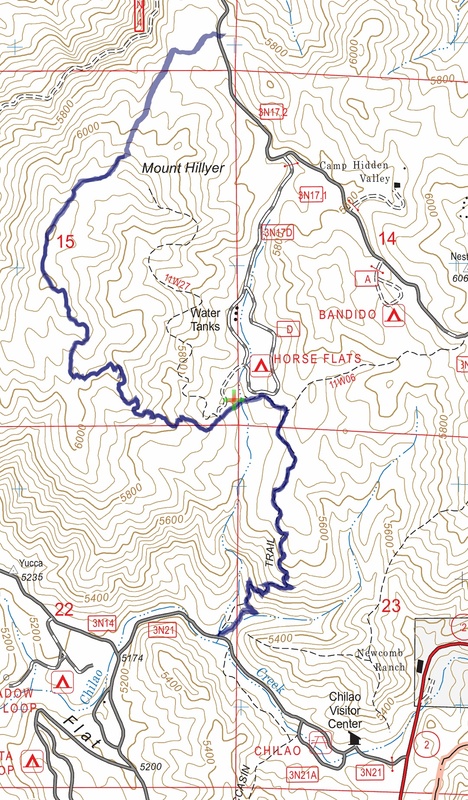 Route Instructions: Eaton Saddle to Mt. Lowe. Stats: 3.2 miles, 520′ gain and loss. 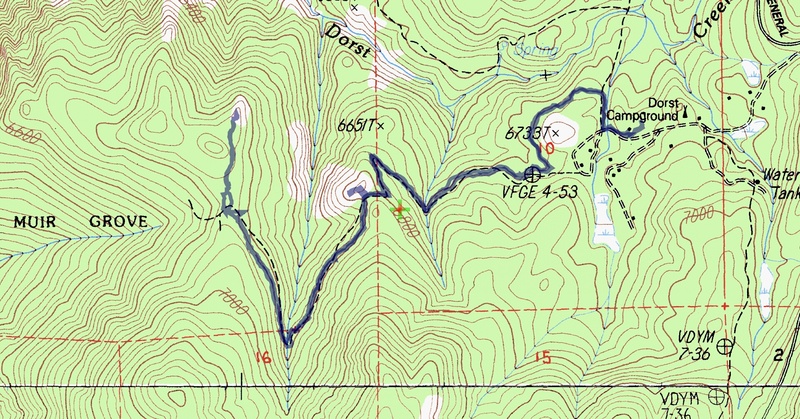 Hike #007 track map using Backcountry Navigator (US Forest Service-2013 map) from my phone. Bighorn near the Bridge to Nowhere. Stats: 10.2 miles, 1,200′ gain and loss. 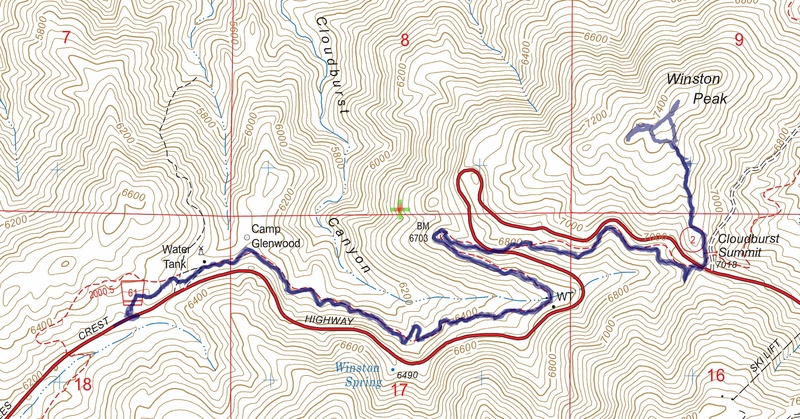 Hike #006 track map using Backcountry Navigator (US Forest Service-2013 map) from my phone. Hike #005 on Jan 17. 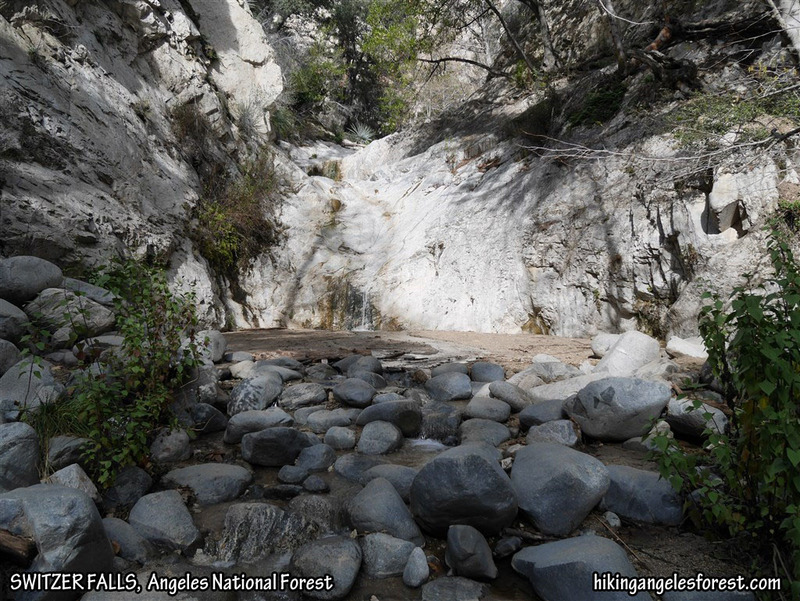 Solo hike in Angeles National Forest. 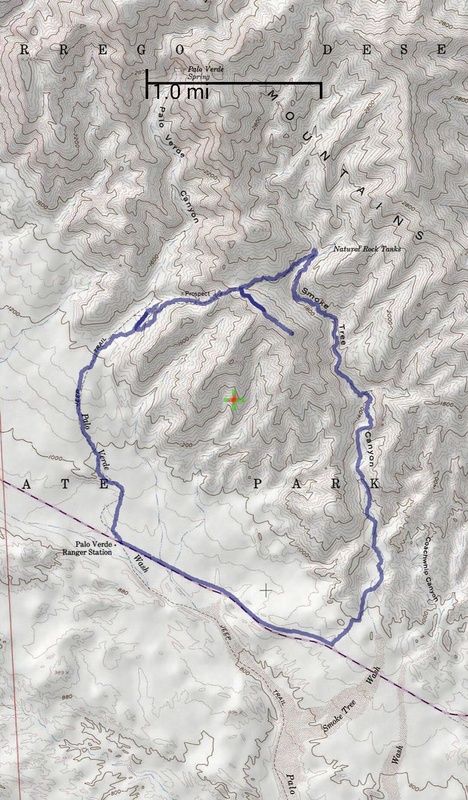 I hiked the Colby Canyon Trail to Josephine Saddle, and then the Josephine Saddle Trail, and Josephine Peak road to Josephine Peak. 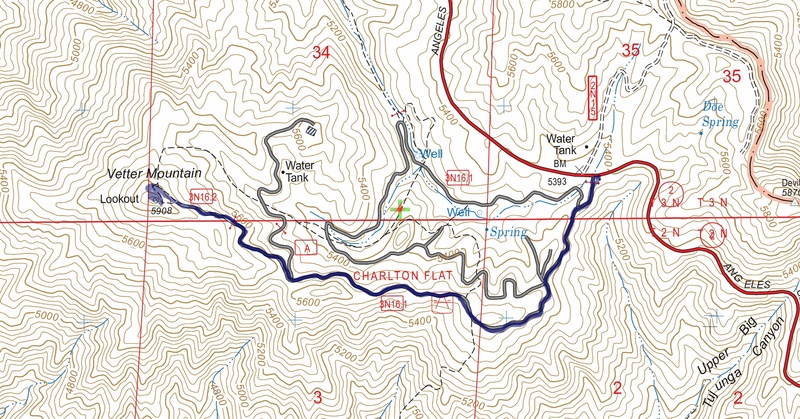 Route Instructions: Colby Canyon Trail to Josephine Peak. View of Strawberry Peak from the Colby Canyon Trail. Stats: 8.4 miles, 2,150′ gain and loss. 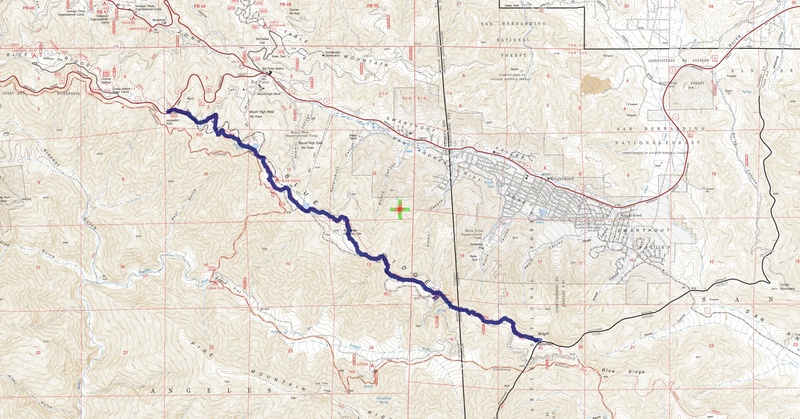 Hike #005 track map using Backcountry Navigator (US Forest Service-2013 map) from my phone. 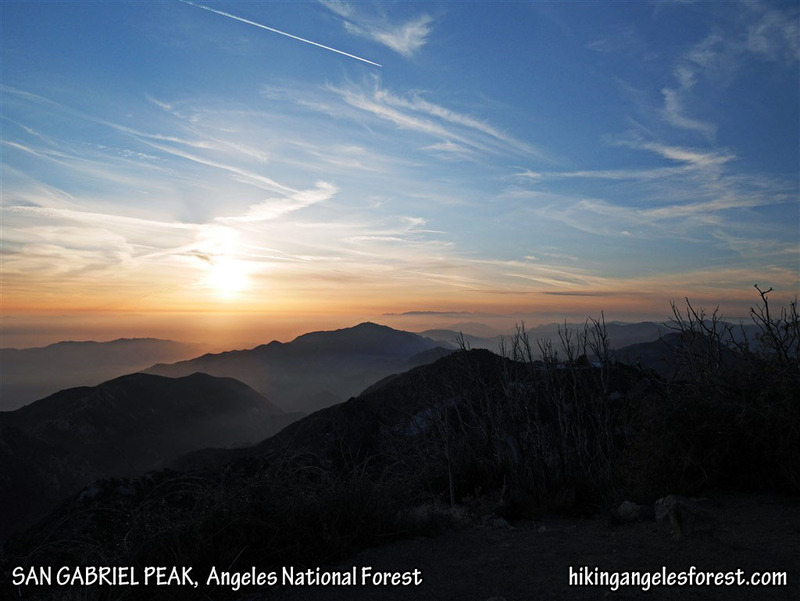 Hike #004 on Jan 16 with Sarah in Angeles National Forest. 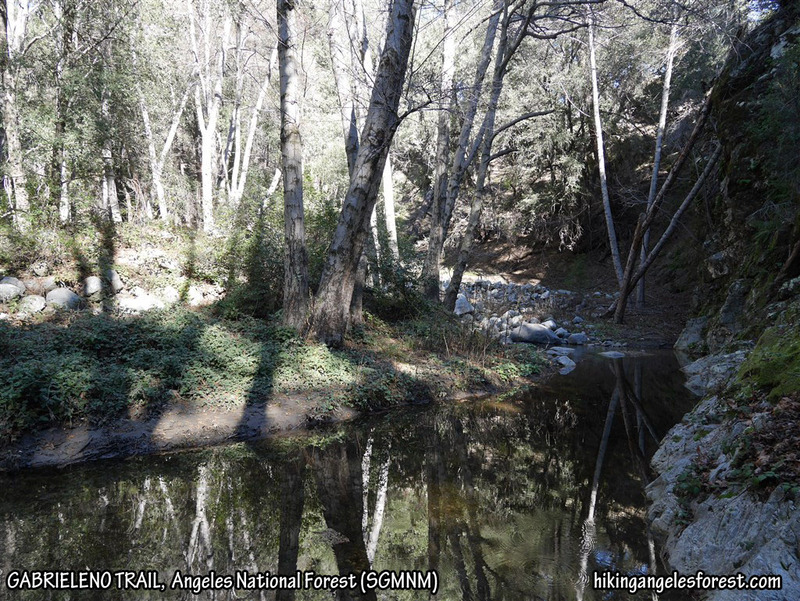 From the Switzer Picnic Area, we hiked the Gabrieleno Trail and the Bear Canyon Trail to Switzer Falls. 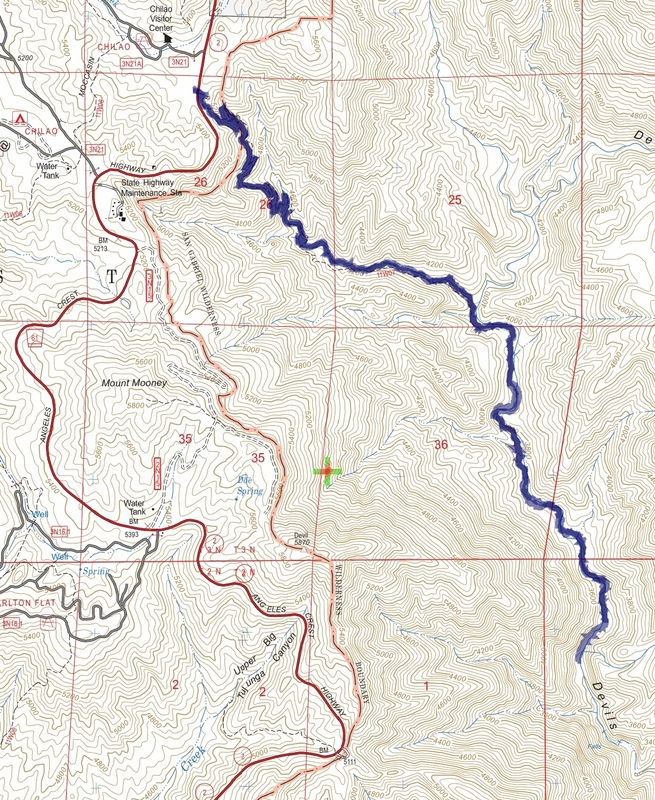 Hike #004 track map using Backcountry Navigator (US Forest Service-2013 map) from my phone. Hike #003 on Jan 10 with Scott in Anza-Borrego Desert State Park on day two of our camping trip. We hiked the Rock Tanks Loop Trail which included a few challenges finding the old American Indian Trail that connects Palo Verde Wash and Smoke Tree Canyon. At the saddle, we added a worthwhile short side trip to an un-named peak with great views. Having just one car and unable to set up a shuttle, we walked the road back to the car to form the loop. 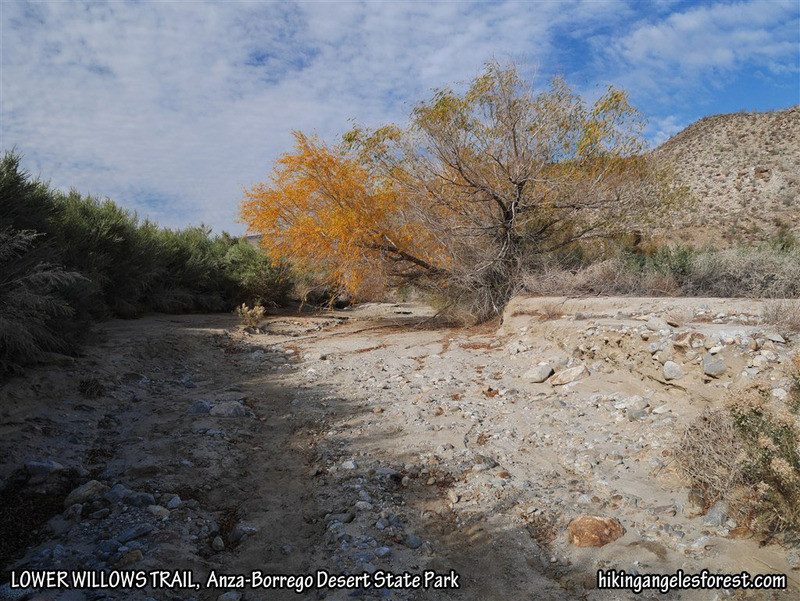 Post: First Impression Of The Anza-Borrego Desert (about the duality of water in the desert with an emphasis on Smoke Tree Canyon). 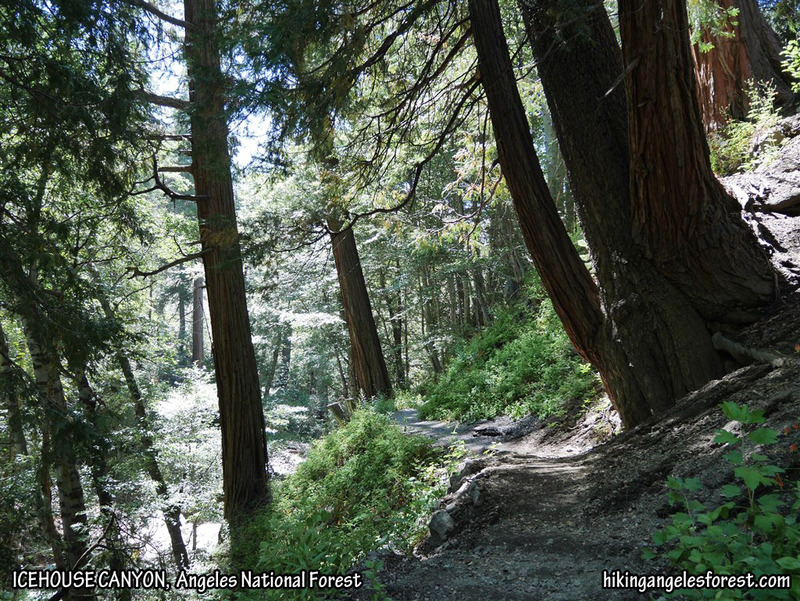 The opening of Smoke Trees Canyon as it transitions from canyon to wash.
Stats: 8.6 miles, 1,450′ gain and loss. 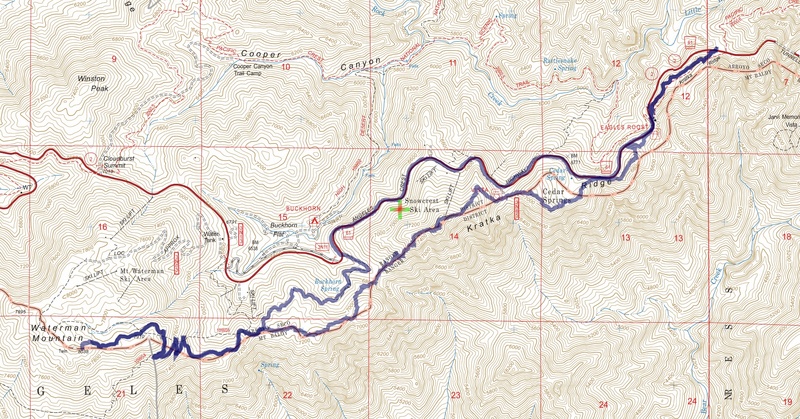 Hike #003 track map using Back Country Navigator (USA Topo Maps-ArcGIS) from my phone. 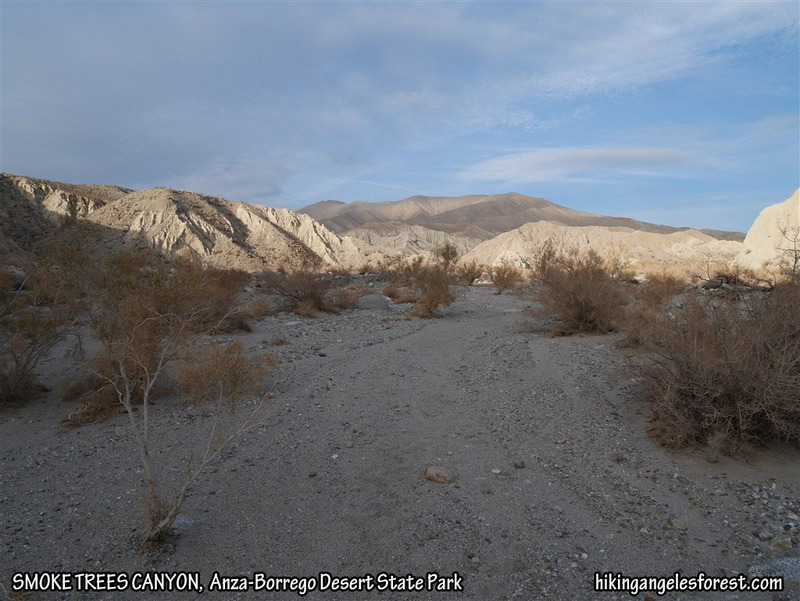 Hike #002 on Jan 9 with Scott in Anza-Borrego Desert State Park on day one of our camping trip. 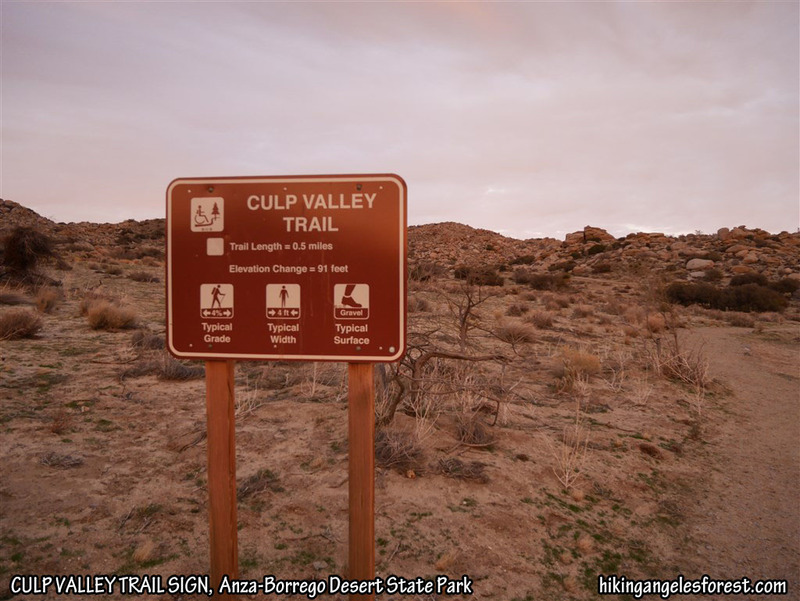 From the Culp Valley Primitive Camp, we hiked the Culp Valley Trail and enjoyed the light change from dusk to night. Stats: 0.5 miles, 91′ gain and loss. I didn’t track this short hike out of the campground, so the trail sign will serve to help describe the hike. 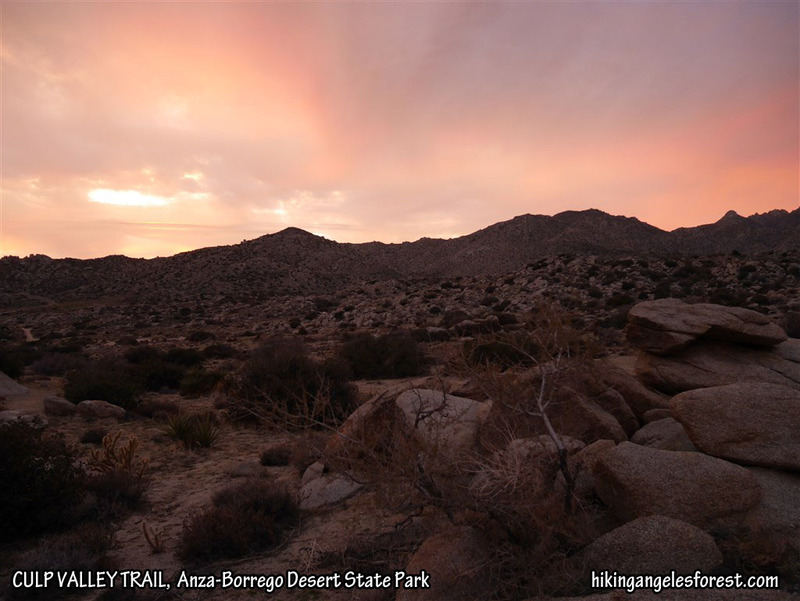 Hike #001 on Jan 9 with Scott in Anza-Borrego Desert State Park on day one of our camping trip. We hiked the Lower Willows Trail starting from the 2nd stream crossing instead of the 3rd (because I didn’t want to drive across the 2nd stream), with a side trip to a palm grove, and forming a loop to visit the Santa Catarina Spring Monument area. Stats: 6 miles, 395′ gain and loss. 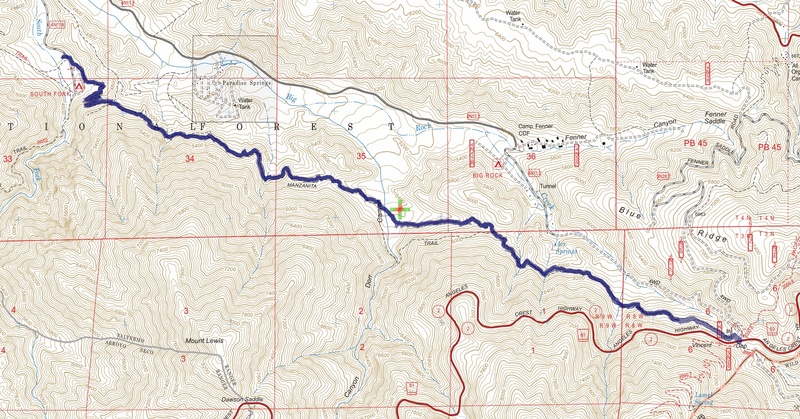 Hike #001 track map using Back Country Navigator (USA Topo Maps-ArcGIS) from my phone. Thanks Ray, I’ll keep that in mind.